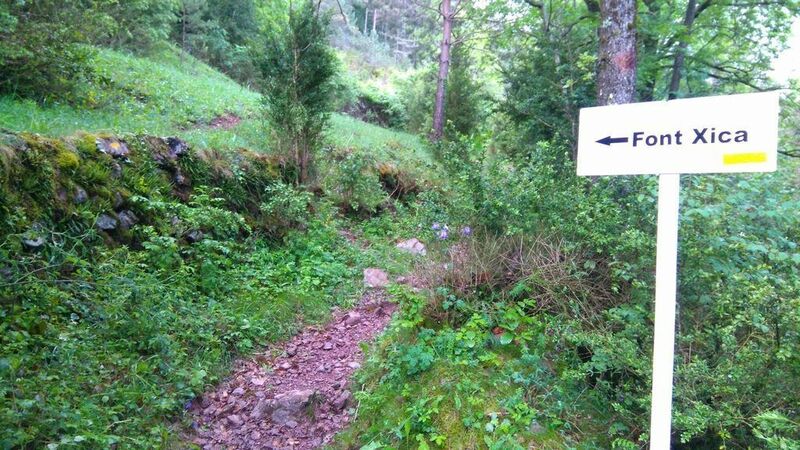 Suitable circuit at any time of the year. 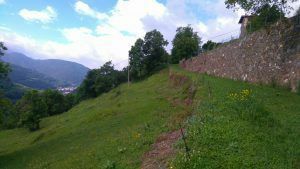 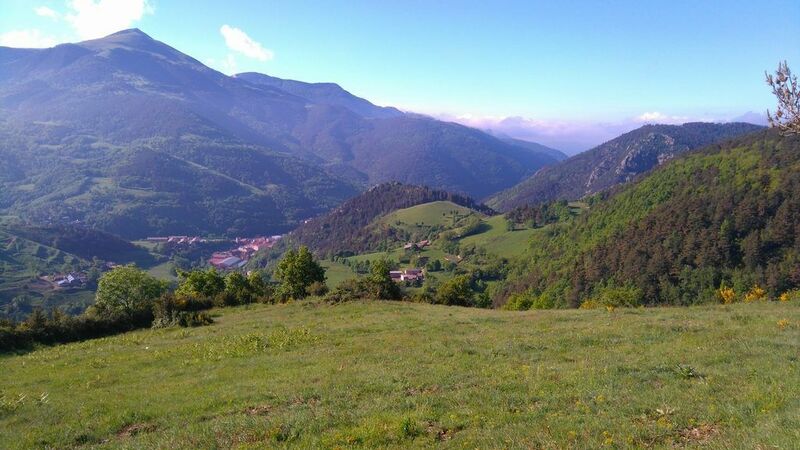 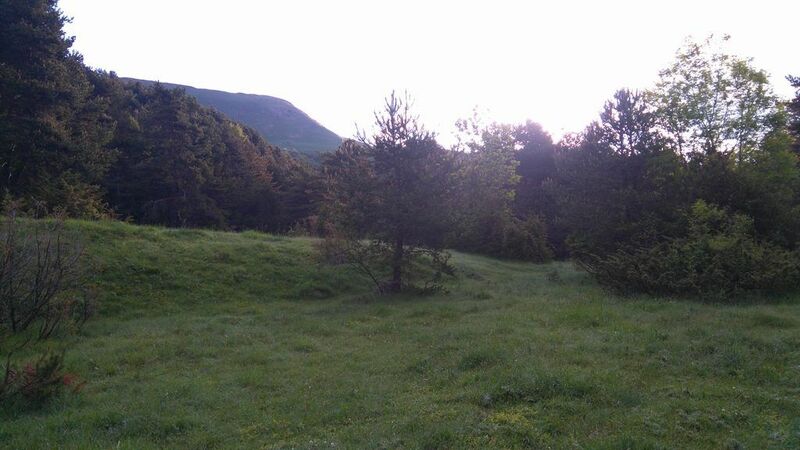 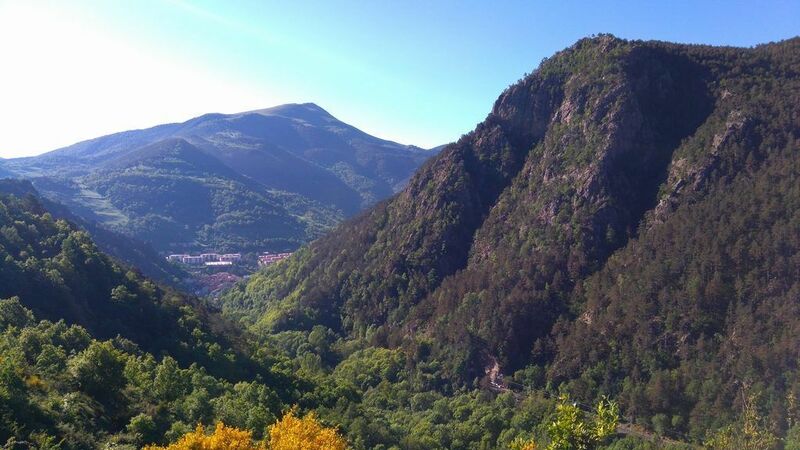 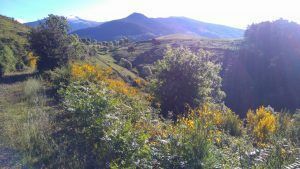 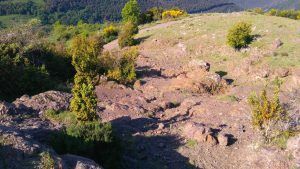 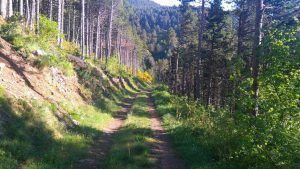 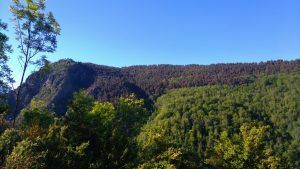 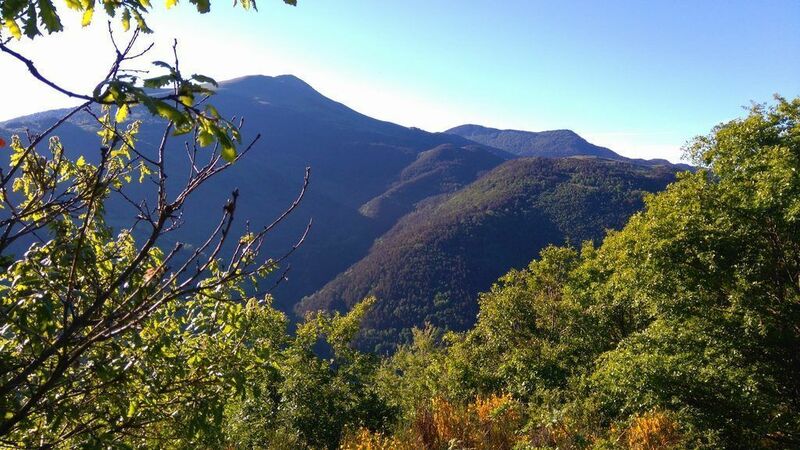 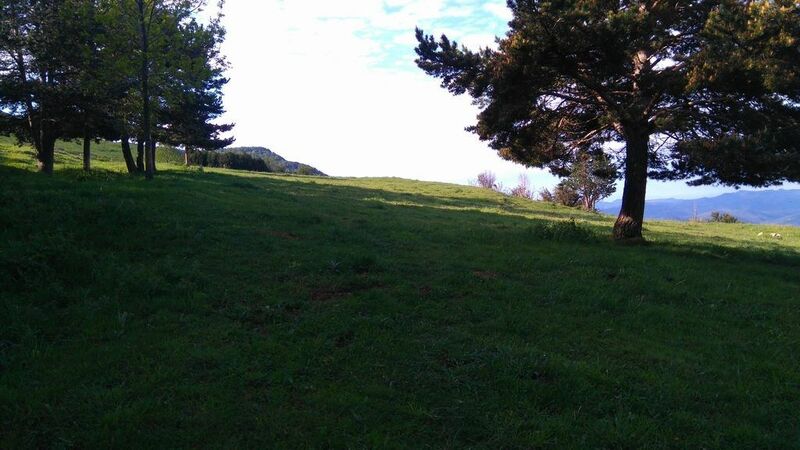 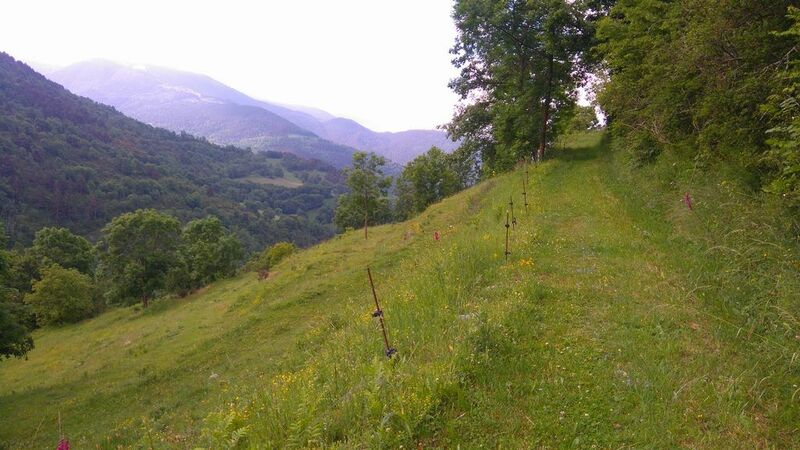 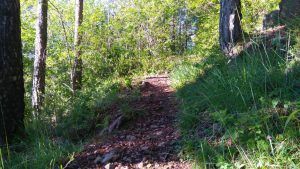 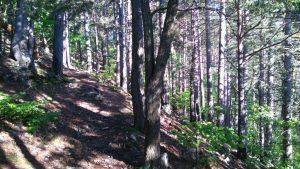 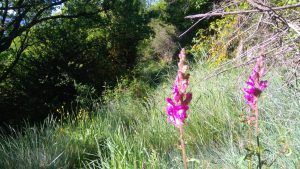 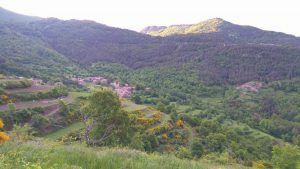 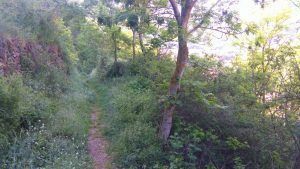 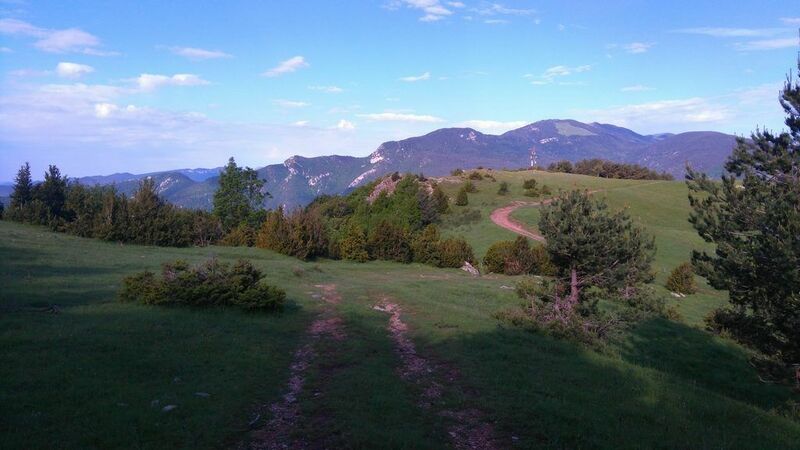 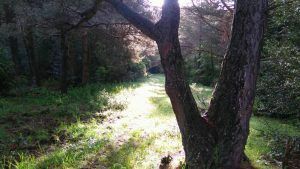 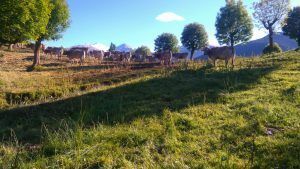 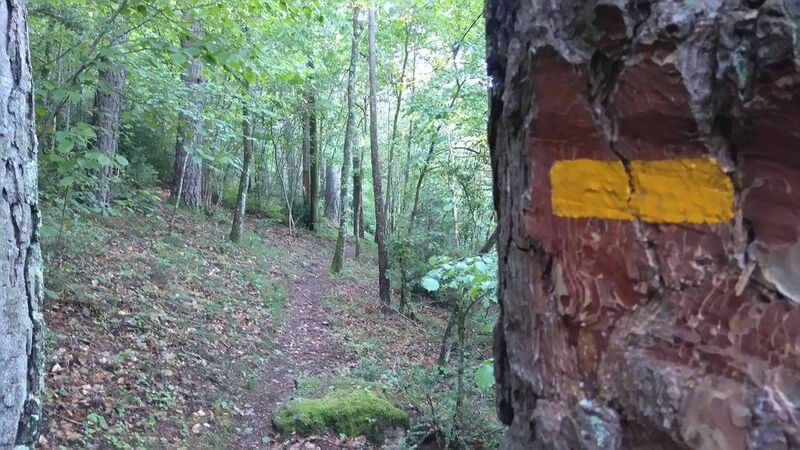 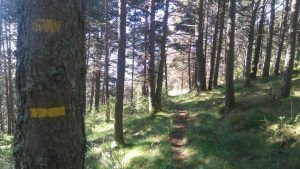 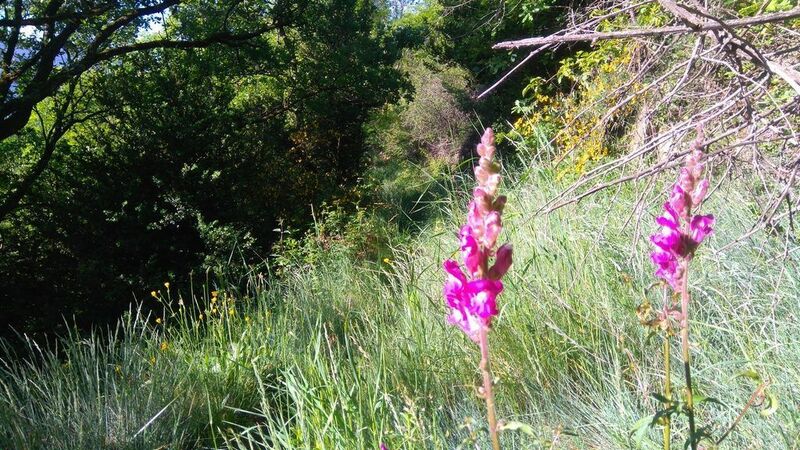 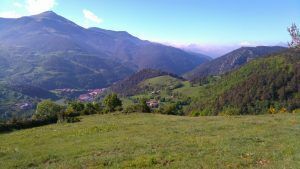 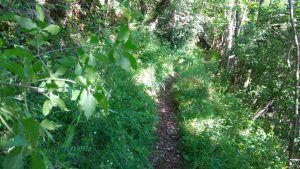 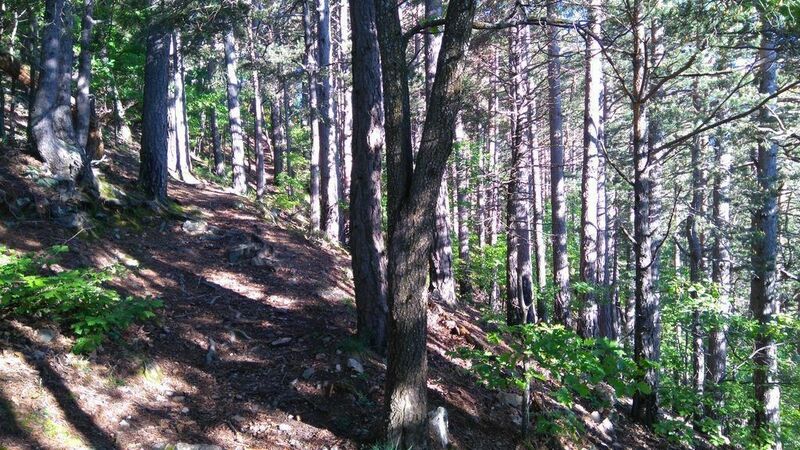 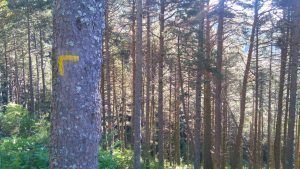 In this route you will experience the two sides of mountain trekking, going from the sunny south slope of Sant Antoni mountain to suddenly pass to the cool shade of Rigard. 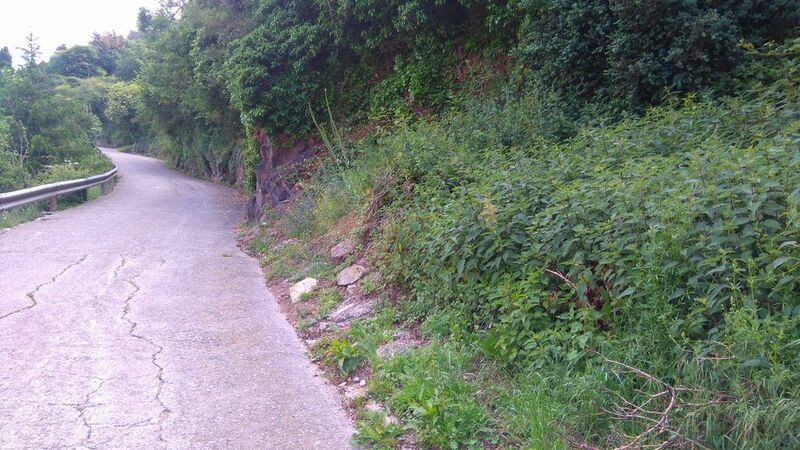 Beware when crossing the N-260 road nearby Roques Blanques. 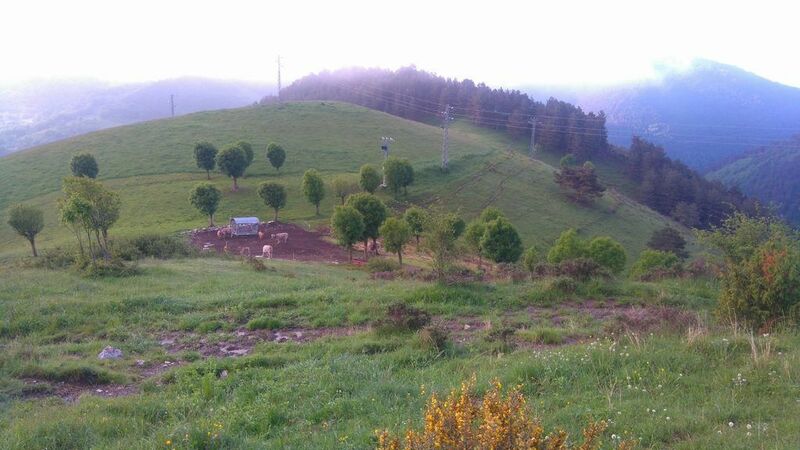 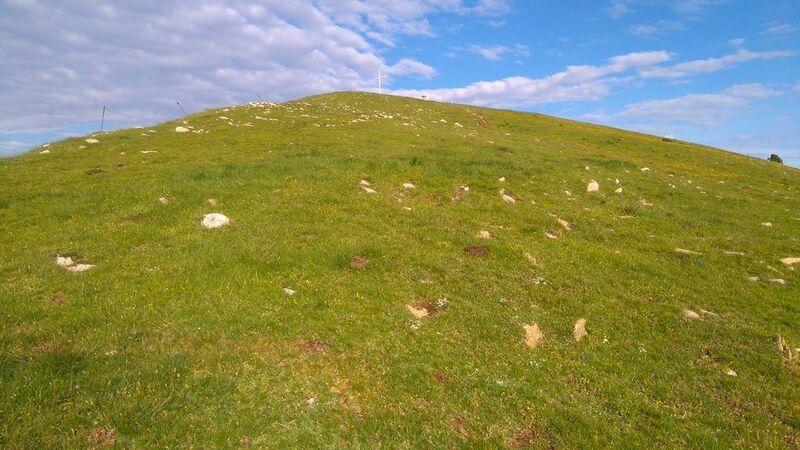 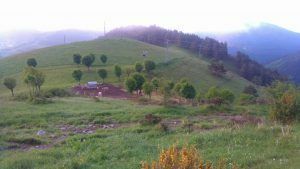 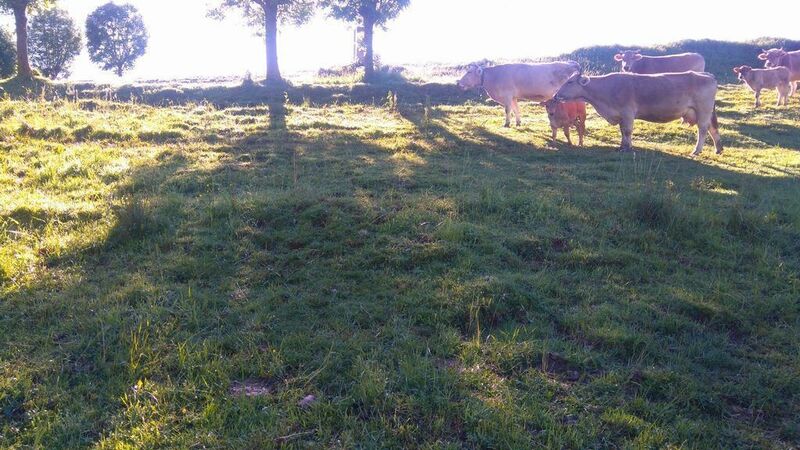 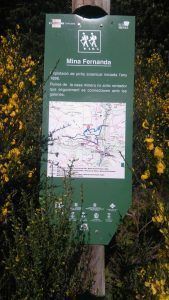 Collet de Segura is a livestock and farming area, that is why you will go past some fences that should stay closed. 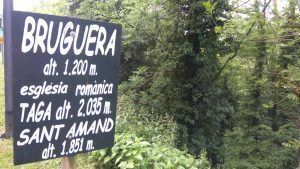 Follow the Paseo Àngel Guimerà to start the urban part of this track, keeping it parallel to the River Freser. Cross the river through the pedestrian bridge over the confluence of the rivers Freser and Rigard. 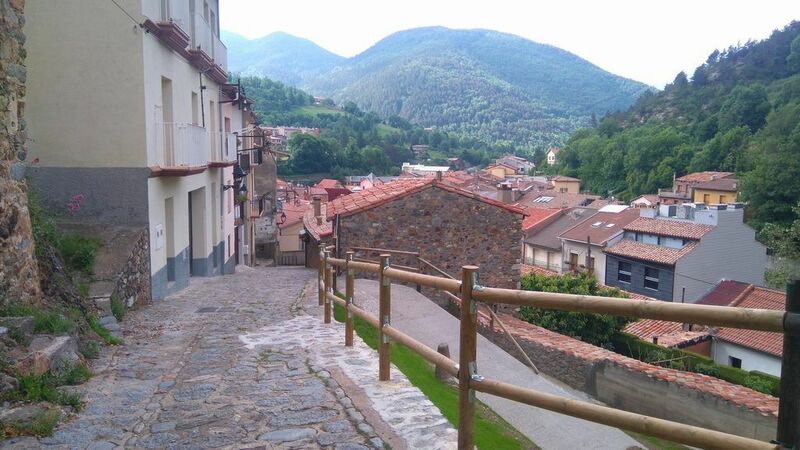 There is a short walk along San Quintín street until you reach the Puente de Ribes square. 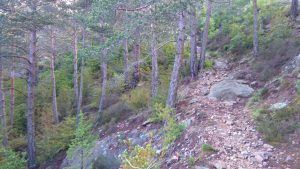 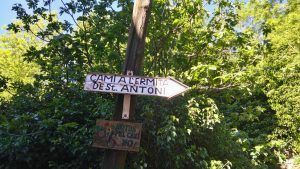 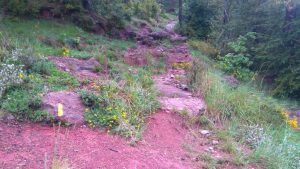 Turn to the left to take Sant Antoni track and continue up to a steep and continuous climb in an easy to follow zig-zag that will take you to Collet de San Antonio. 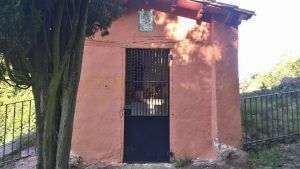 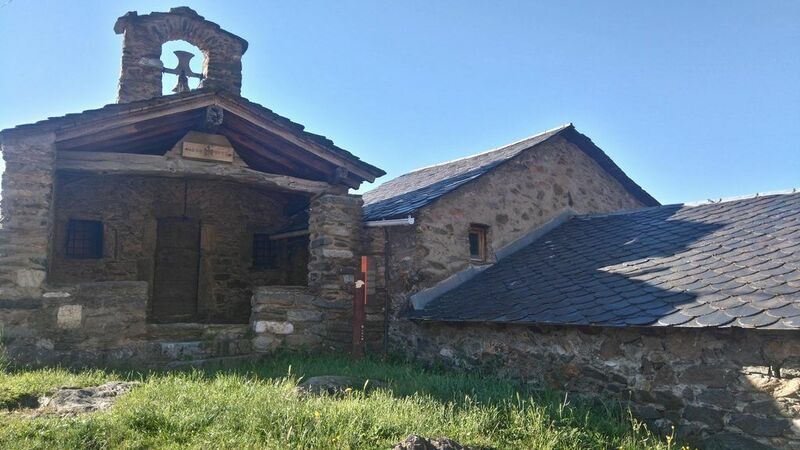 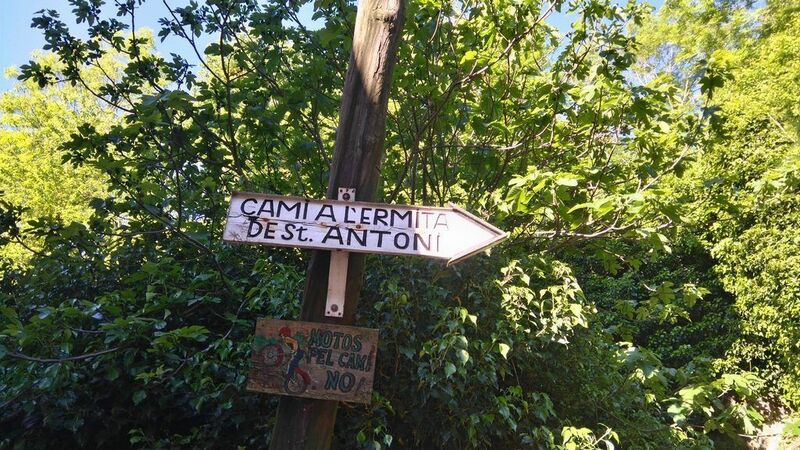 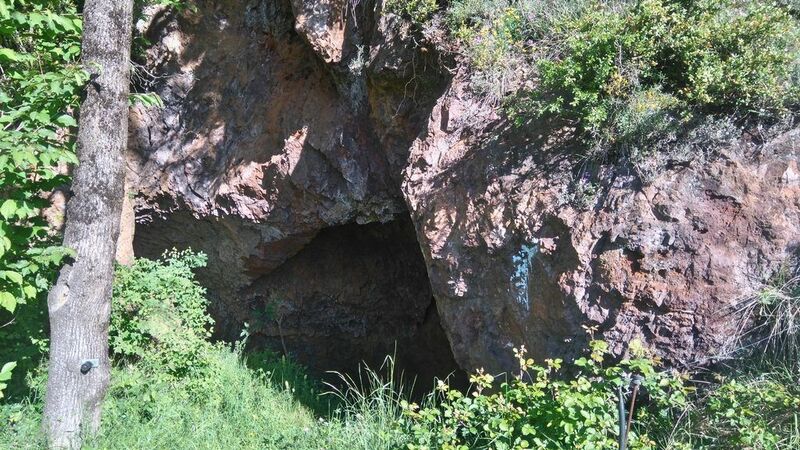 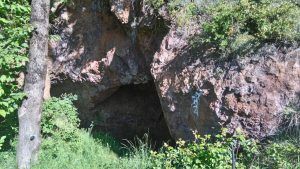 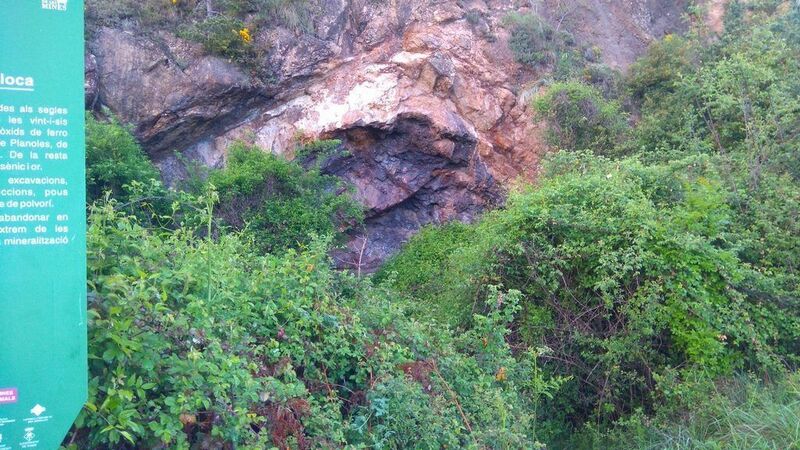 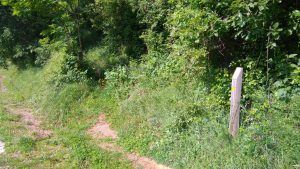 Once the Collet is reached, if you want to find the Sant Antonio fountain or the Hermitage of Sant Antoni, you should slightly branch off the route a few metres to the left. 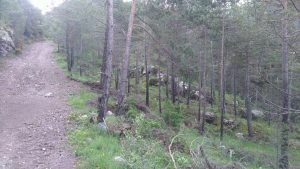 If you decide to continue the main route, start the entertaining and fast descent by the shady part of the River Rigard. 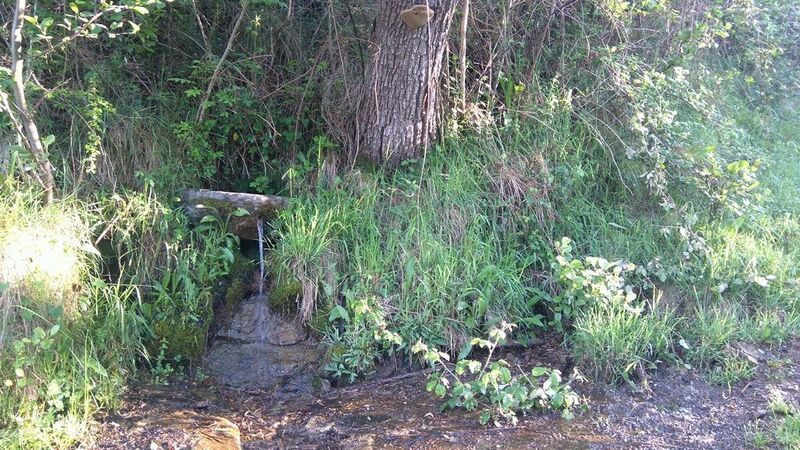 After crossing a forest trail, you will meet the Haya fountain, where there is always fresh water flowing. 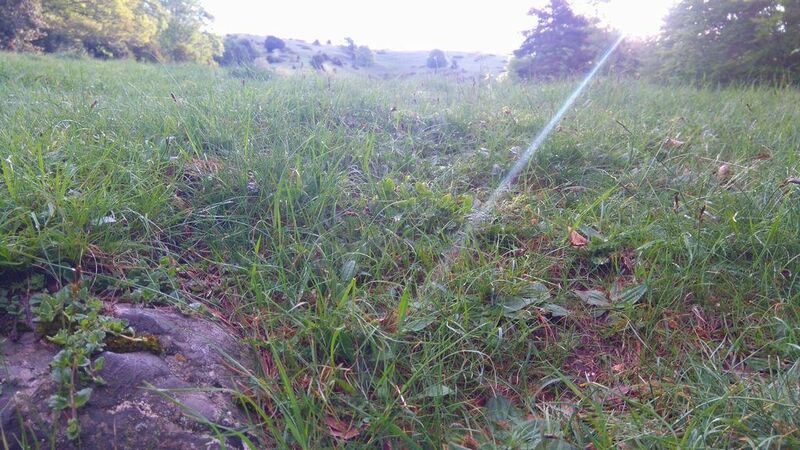 If you keep going down you will get to a wide field with panoramic views of the Rigard Valley. Pass across this field and keep going down to cross the river. Walk past the Alberg Roques Blanques and after that cross cautiously the N-260 road. 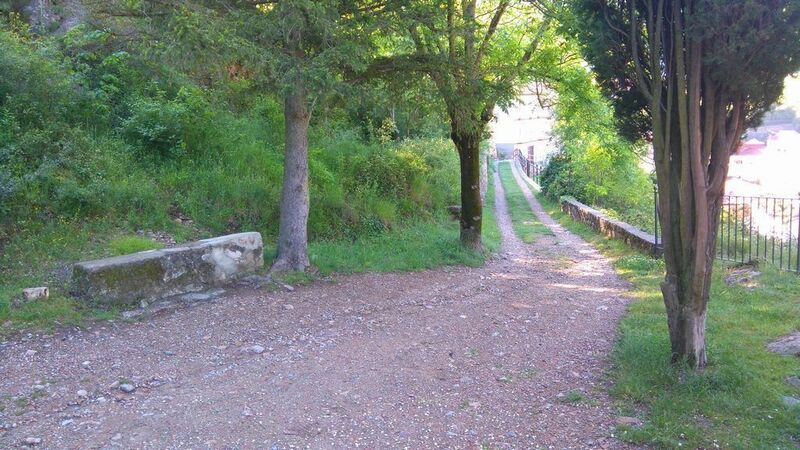 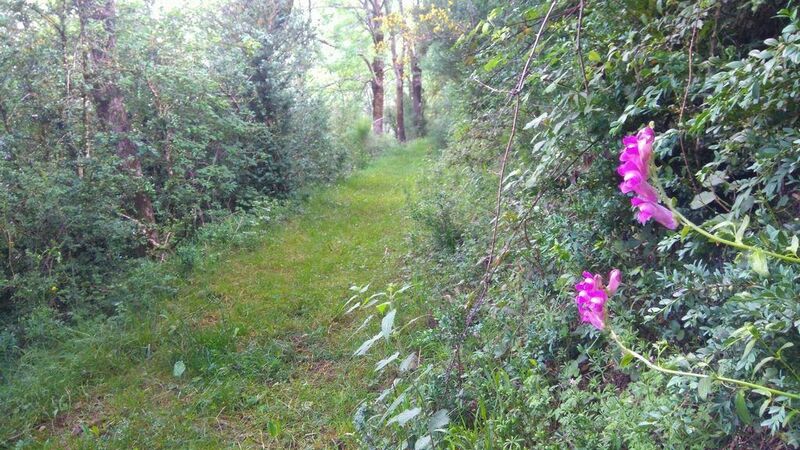 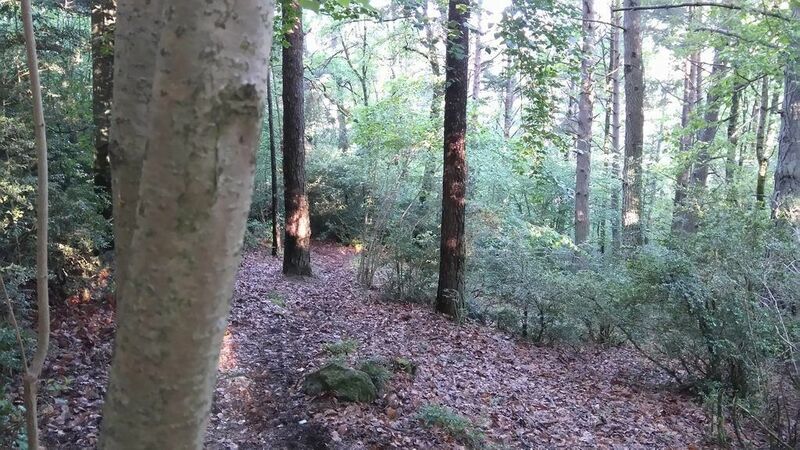 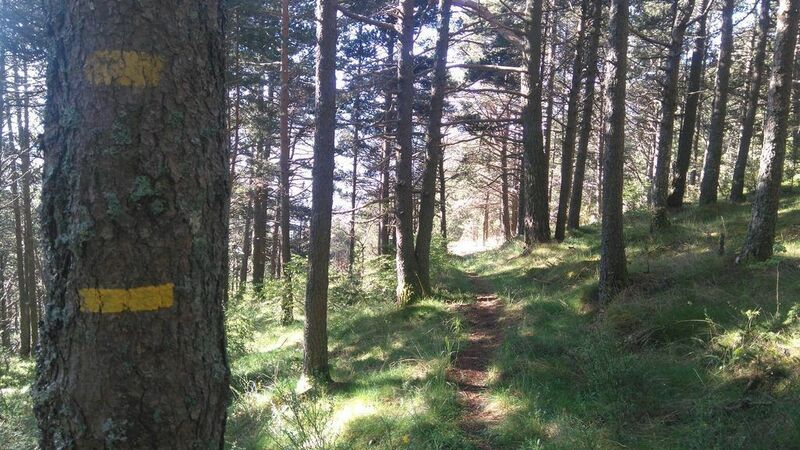 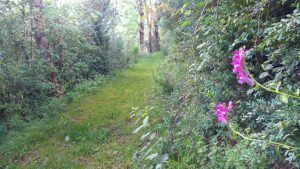 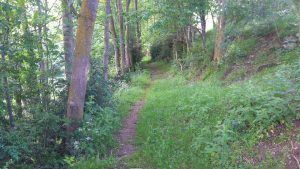 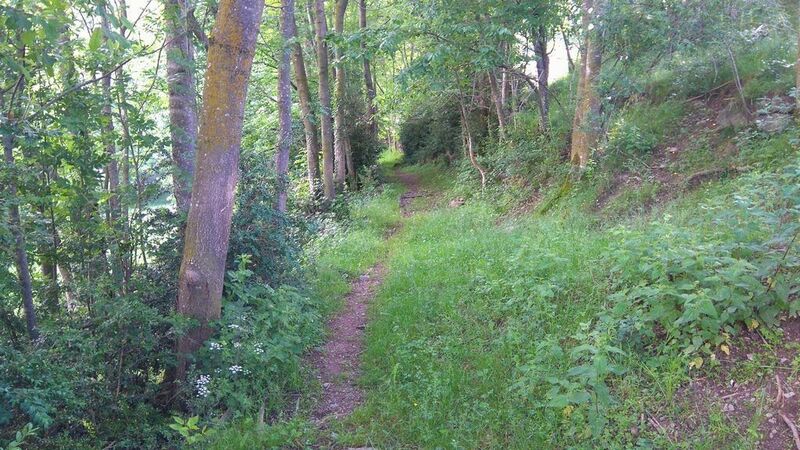 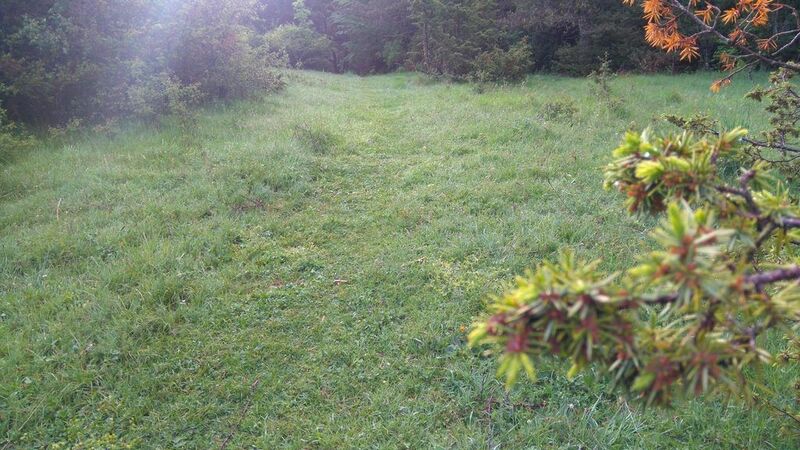 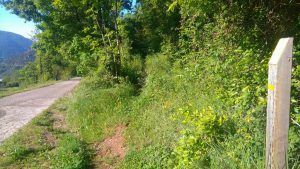 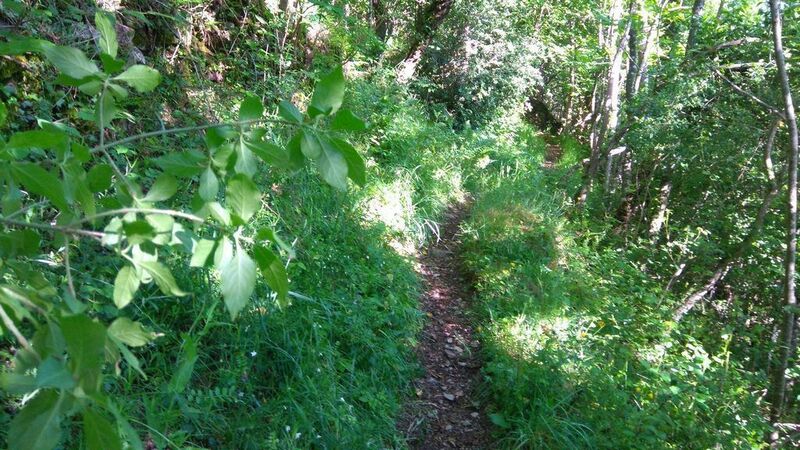 Take the path you will find between two houses and follow this gentle slope that leads to the Collet de Segura while enjoying the views of the forest that you just left behind. After getting to the hill, take a sharp turn to the right to start descending a milled way, going around the northern slope of Ribes. This will bring you back to Ribes de Freser passing by the Hermitage of Sant Cristòfol and Cerdanya street. 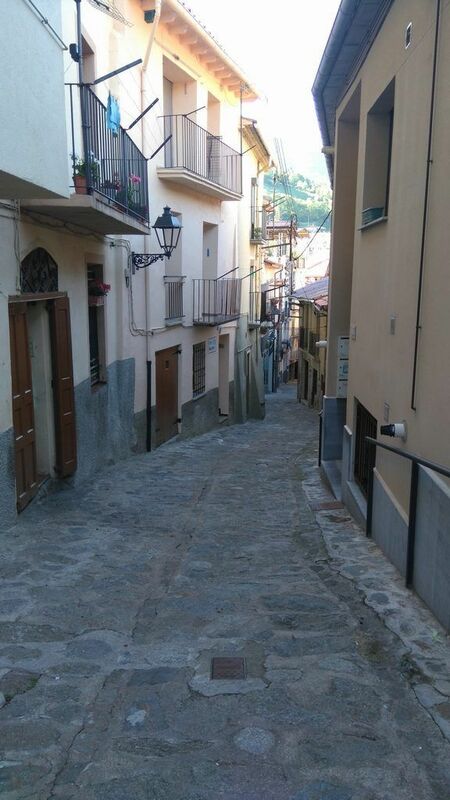 Towards the end of that street you will get to Puente de Ribes square and after then, you just need to retrace your steps back to the Tourist office across the town. 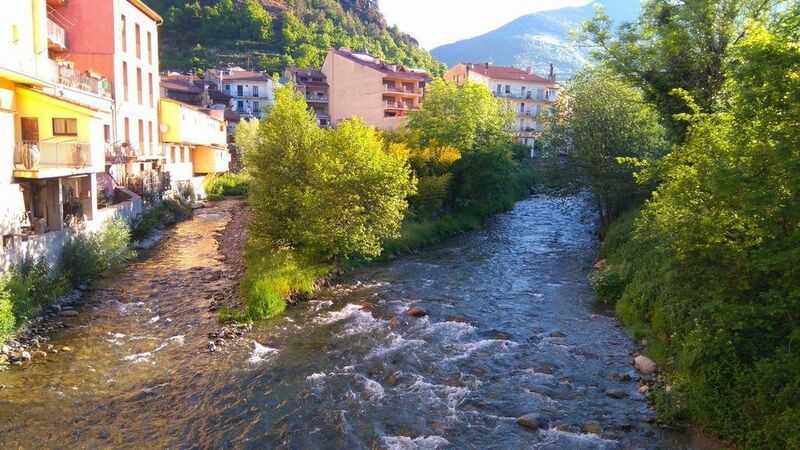 Water: All needed water facilities are available in Ribes de Freser. Fountain in the Hermitage of Sant Antoni and the Haya fountain (Font del Faig). Slight diversions are needed to get to both fountains. 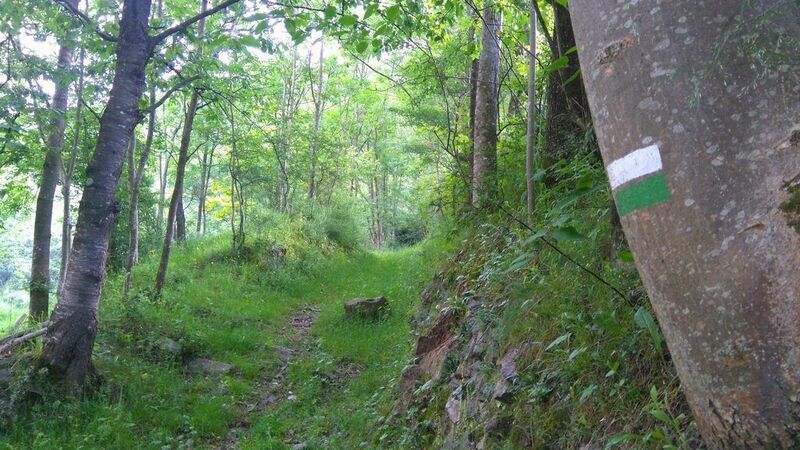 This is a suitable route at any time of the year. 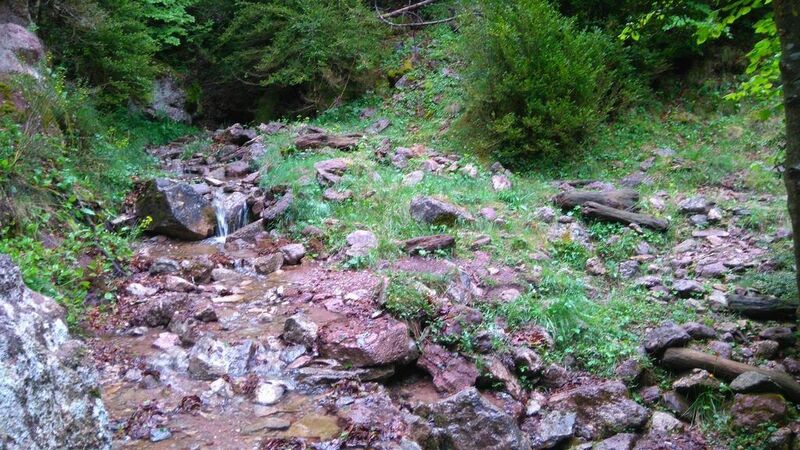 During the summer season, there are disposable fountains and torrents to take a dip in. 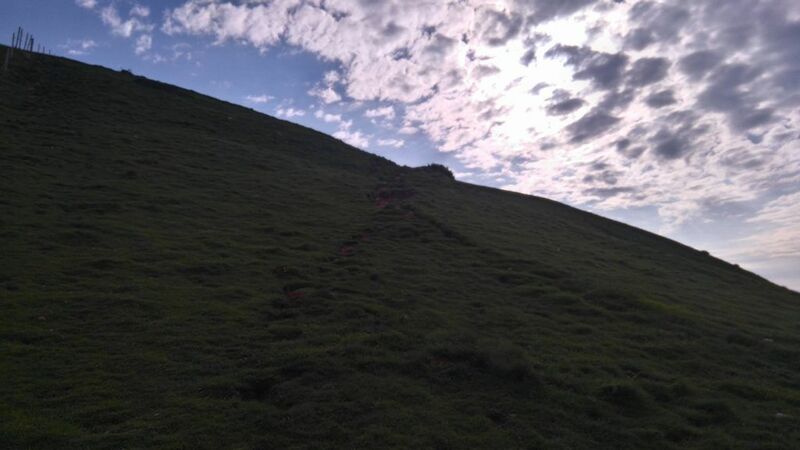 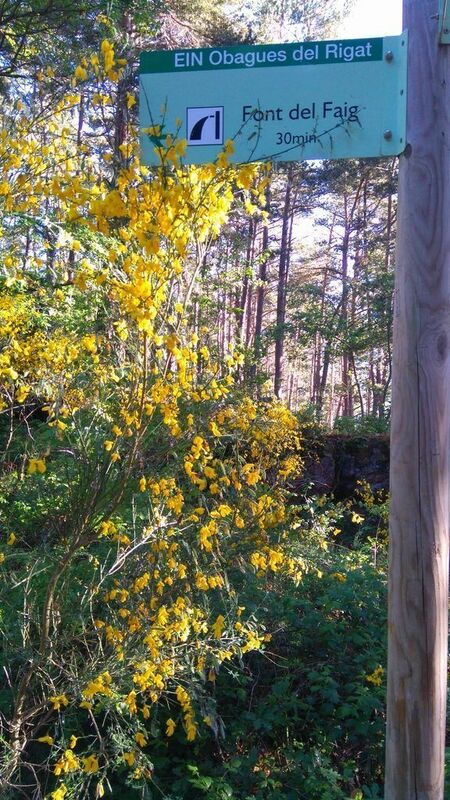 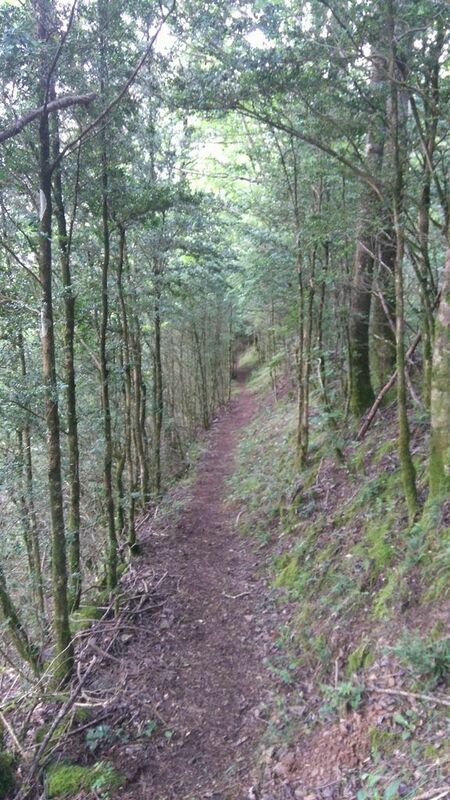 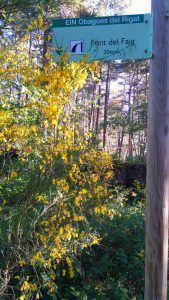 It is a very pleasant trail in winter too, because it is mostly sunny. 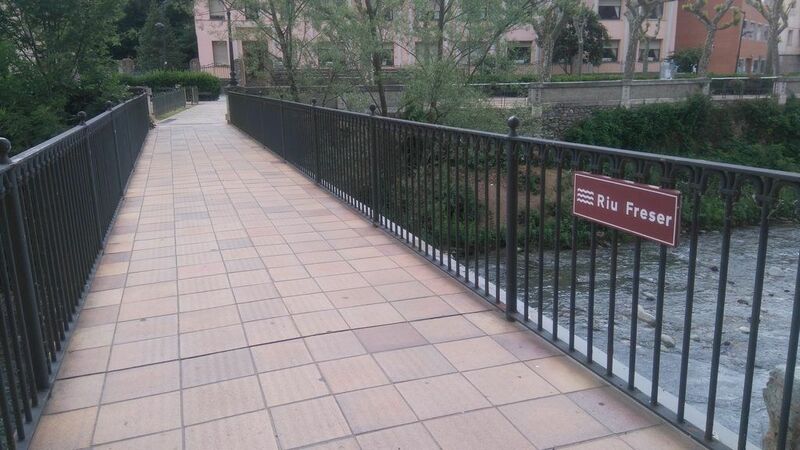 There is a short walk along San Quintín street until you reach the Puente de Ribes square. 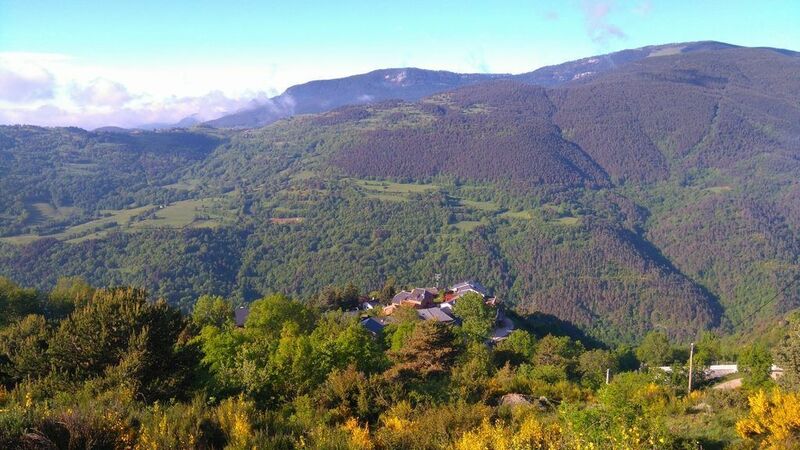 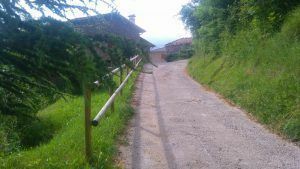 Continue through the Major street and take on the left Cerdanya street. This cobbled street leads directly to the Hermitage of San Cristófol, and after that you should follow by path to Collet de Segura. 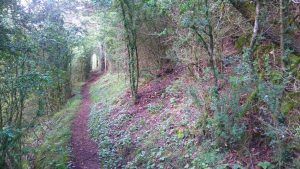 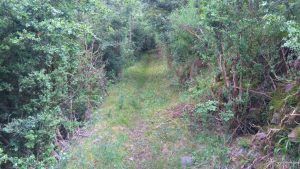 After passing across two fences in the collet, continue up the path between scrubland. 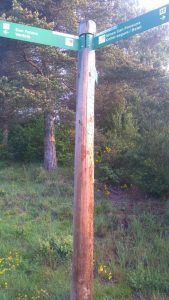 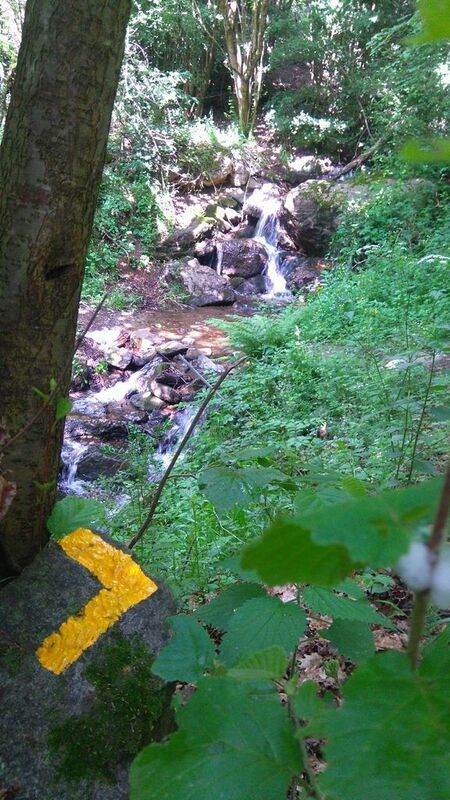 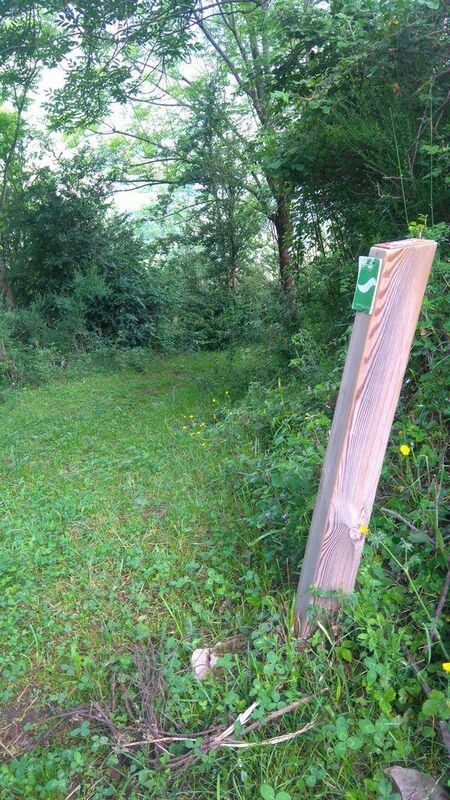 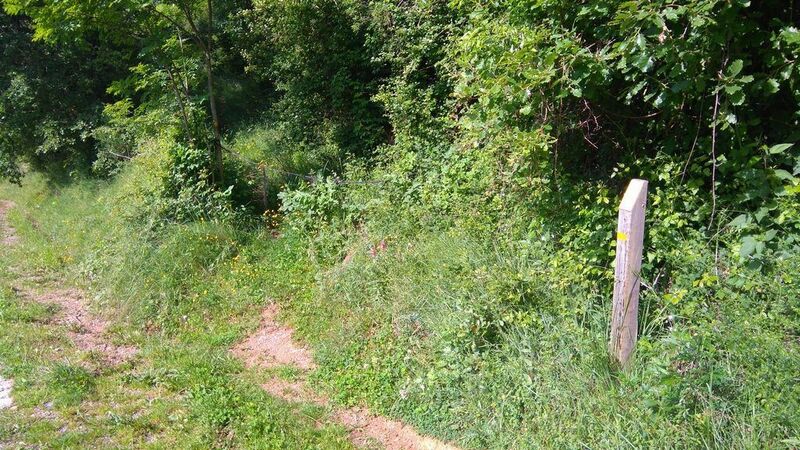 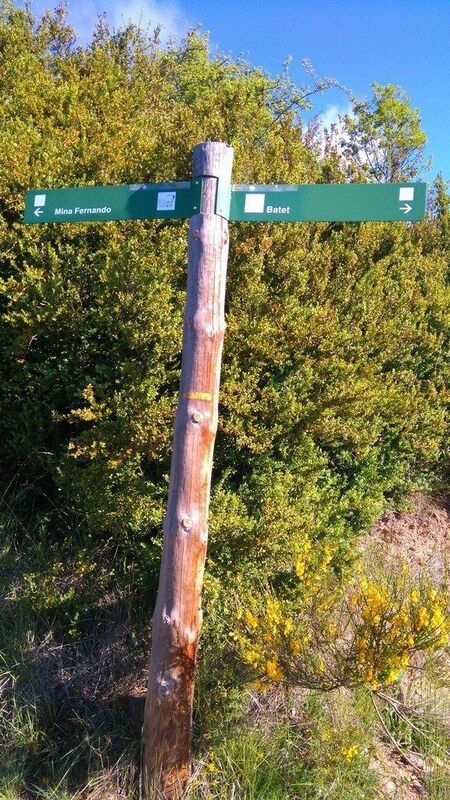 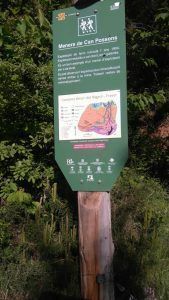 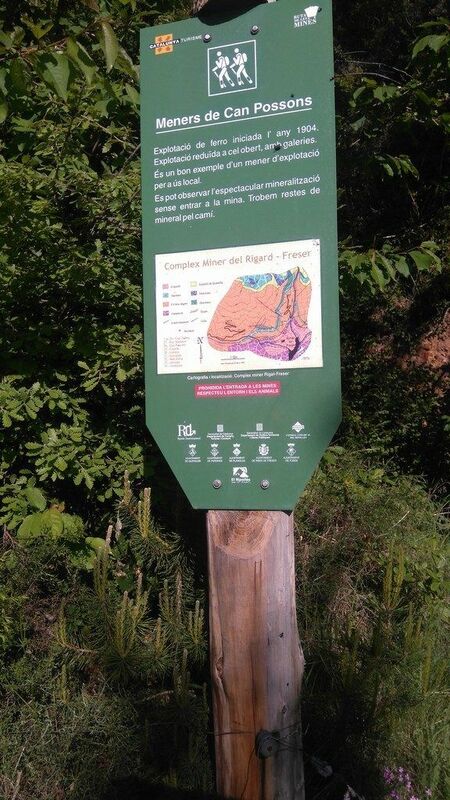 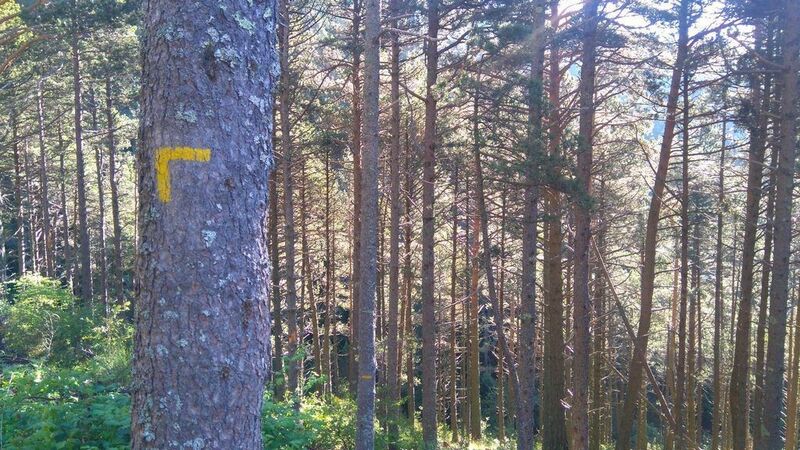 Once you are in the forest and after taking a few turns, you will find a sign post with some directions. 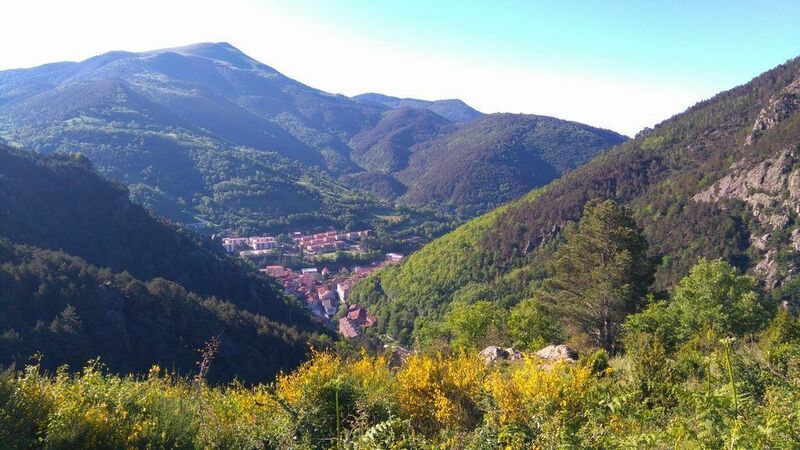 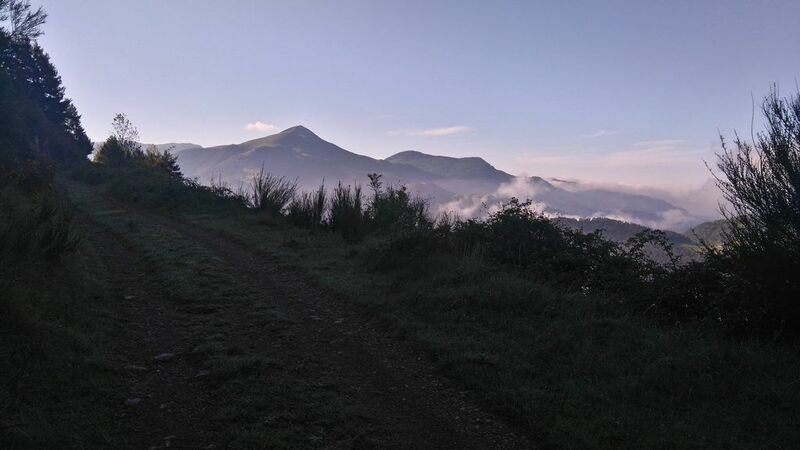 Keep going towards Ventolá through a path that goes by the hillside of Serra del Castell, admiring the beautiful views of the Serra de Montgrony. 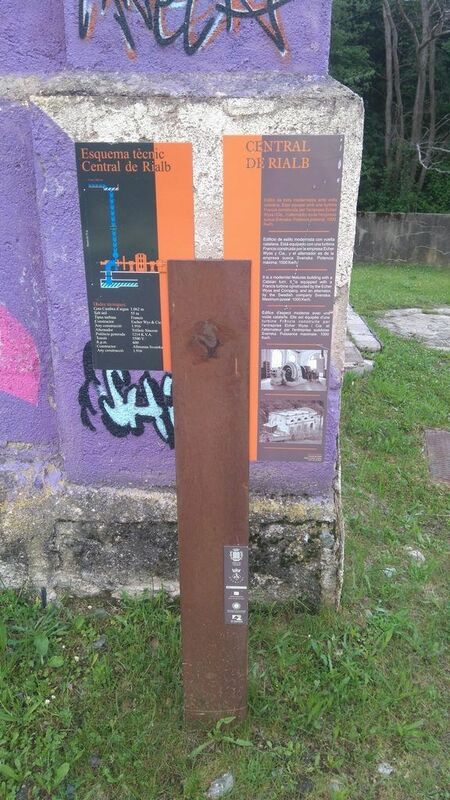 The next stop is the Can Paloca Mine, very interesting place if you want to know more about the history of that area. 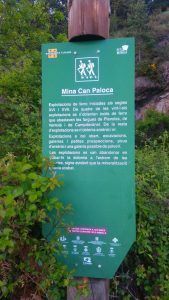 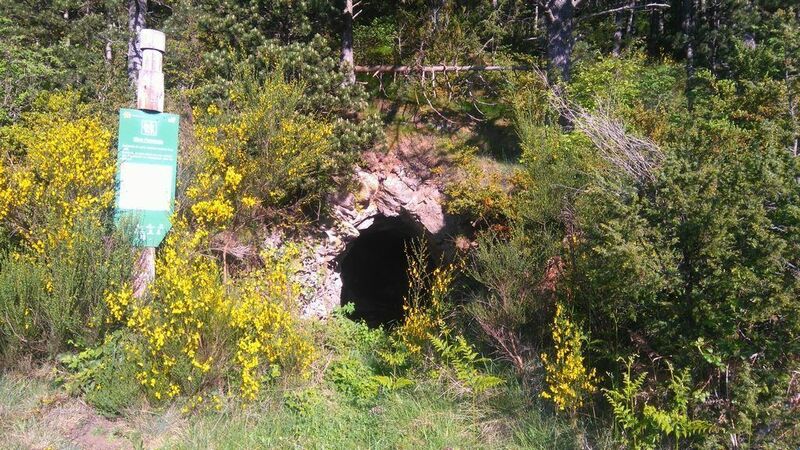 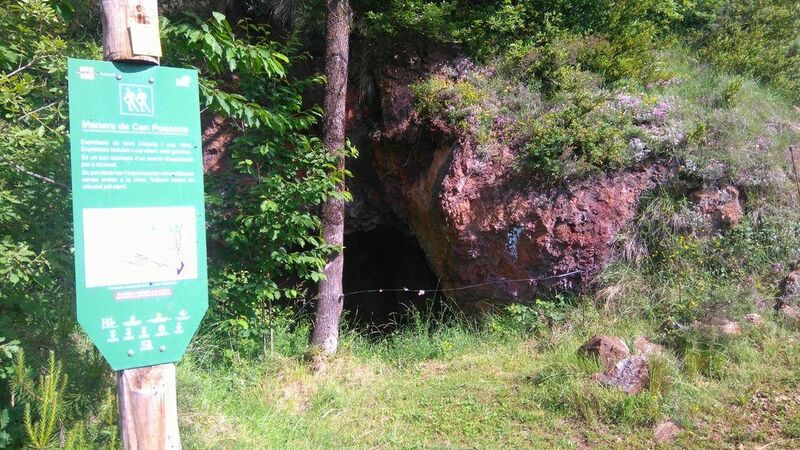 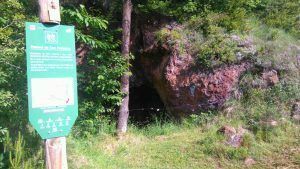 Passing the mine, keep walking until you meet the Can Polaca fountain and the remains of what used to be a farm house. 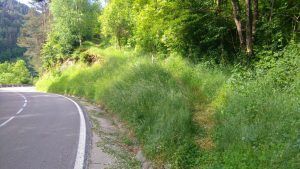 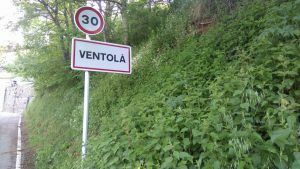 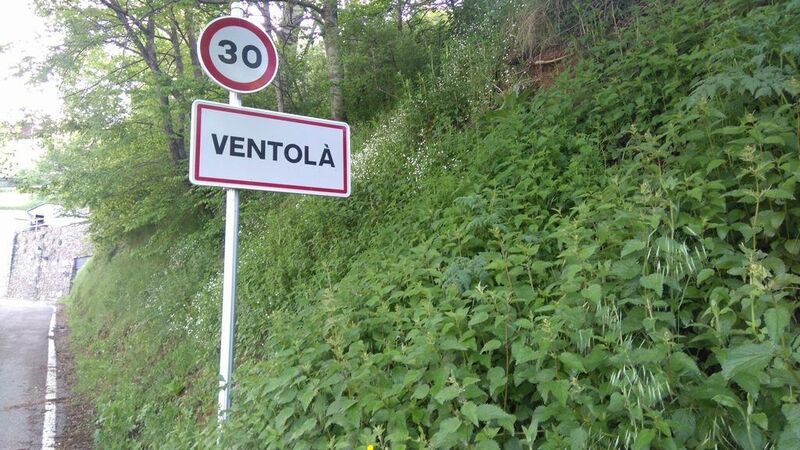 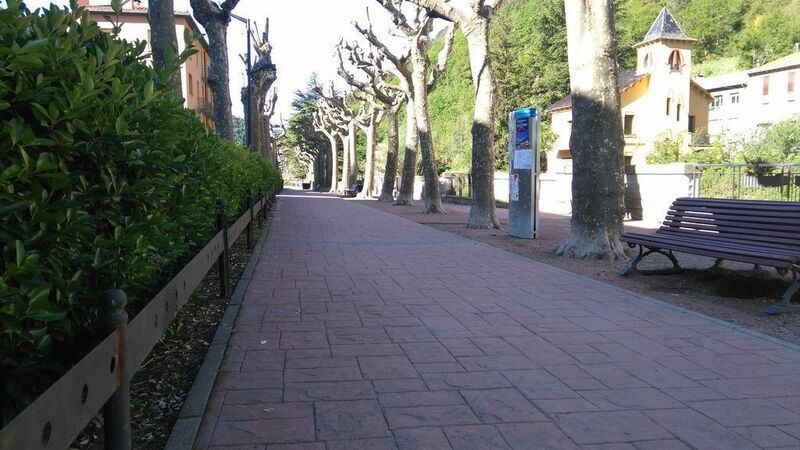 Continue without losing height until you get to a curve in Ventolà road. 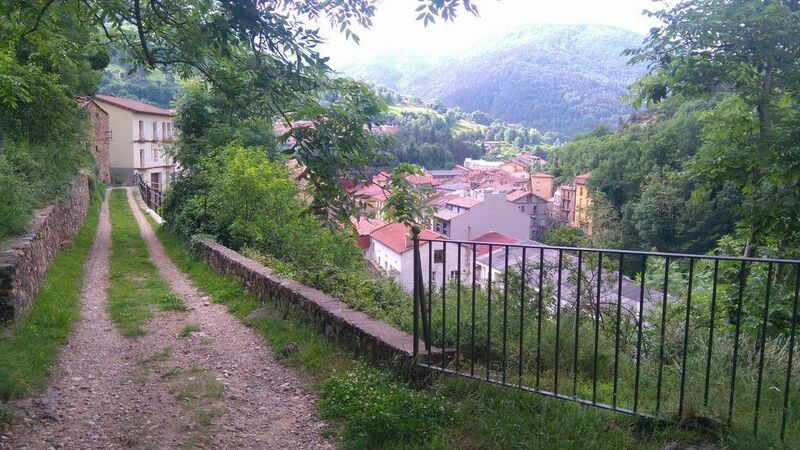 Keep going on the road for 500m until you reach a small neighborhood in Ribes de Freser. Pass across the street and start going up along a paved track leaving the buildings behind. 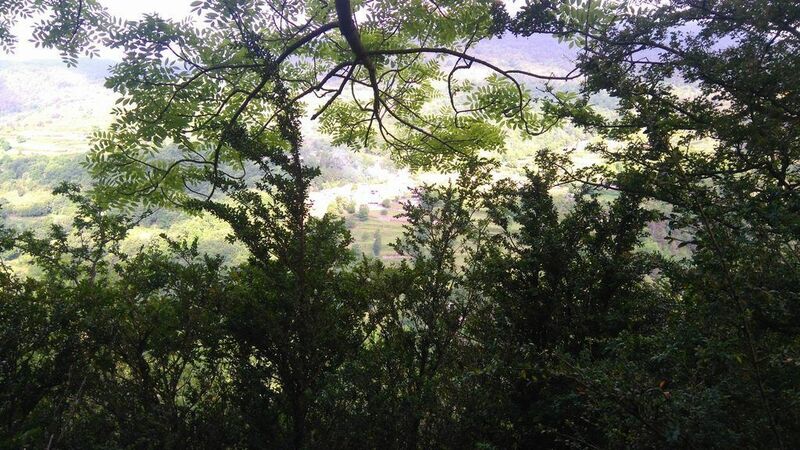 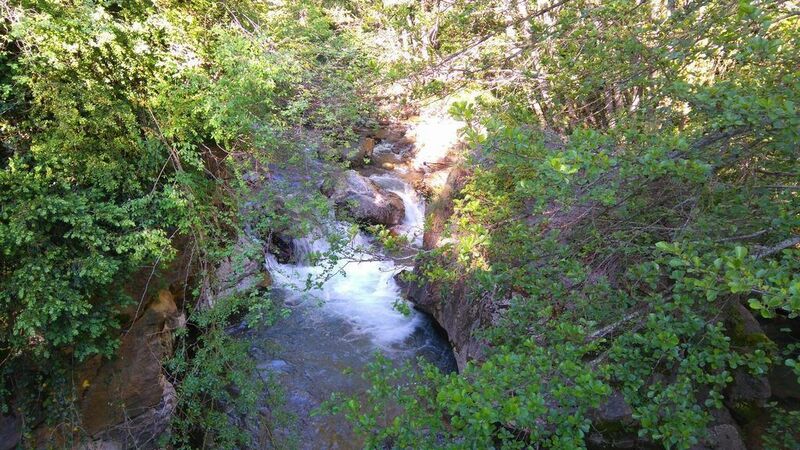 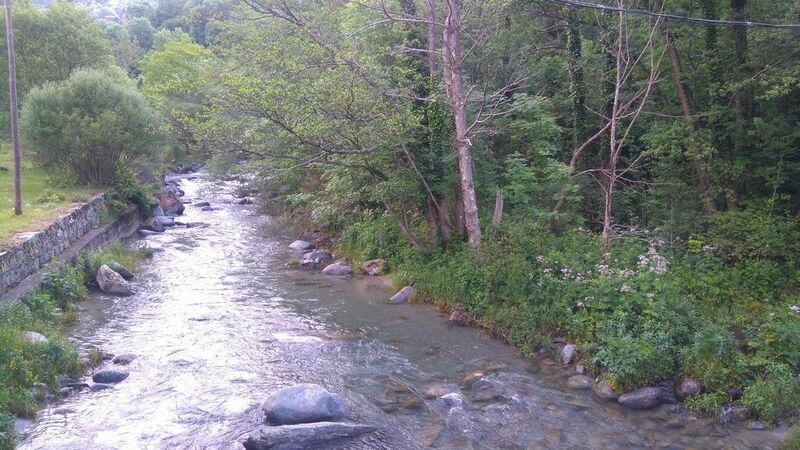 At this stage there is a long and wide trail that will bring you to the Fernanda torrent. 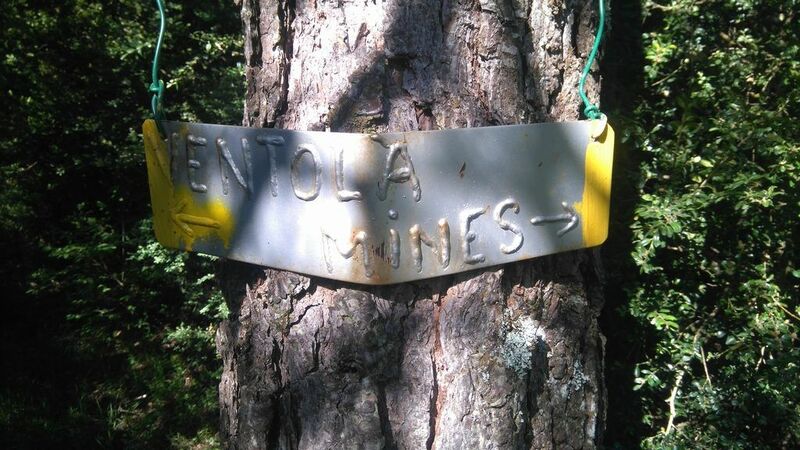 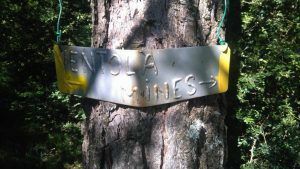 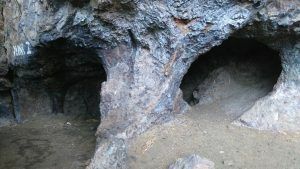 Just before the torrent, take a sharp turn to the right and keep an eye on the signs up on a tree or use GPS to find the right path that leads inside the forest and towards the Fernanda Mine. 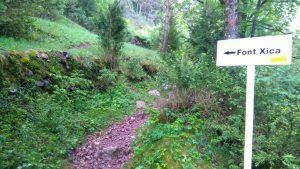 If you continue in constant slope, go across the torrent and you will get to Batet just after passing some grazing lands. 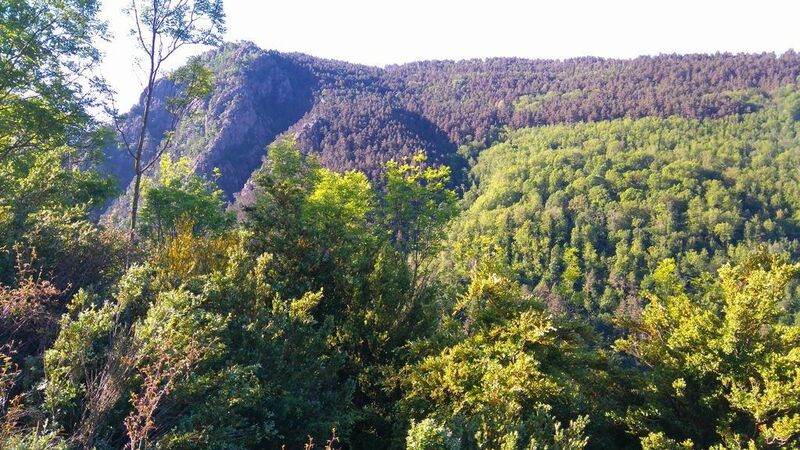 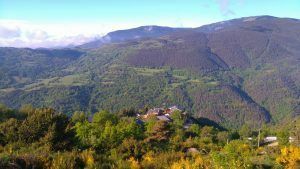 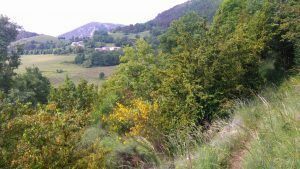 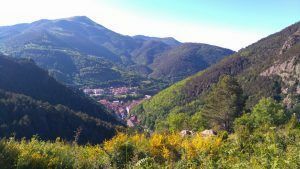 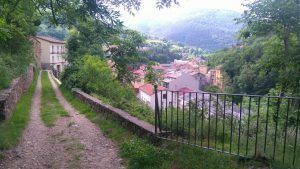 Go past Batet (village that belongs to Ribes de Freser) and walk for a short distance the paved track until you take a trail on the right. 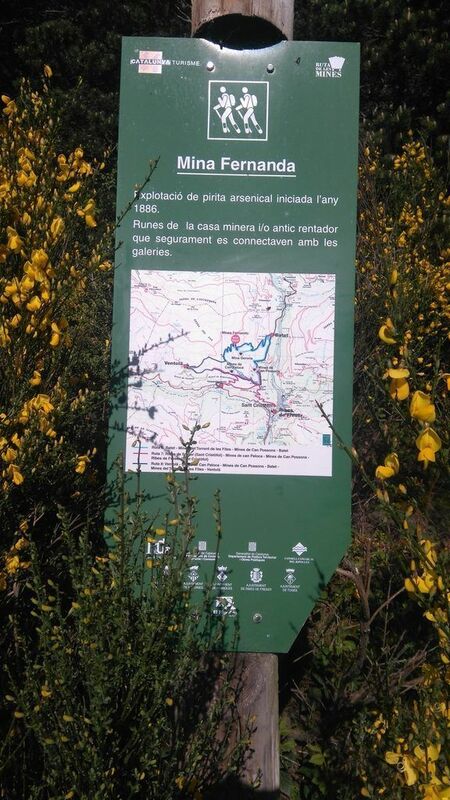 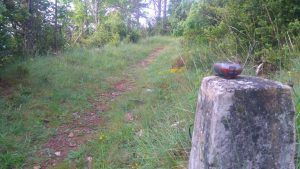 Follow this track and cross the Fernanda torrent once more to then pass by the Can Possons Mine, just beside the countryside house called the same way and beside Can Segura. 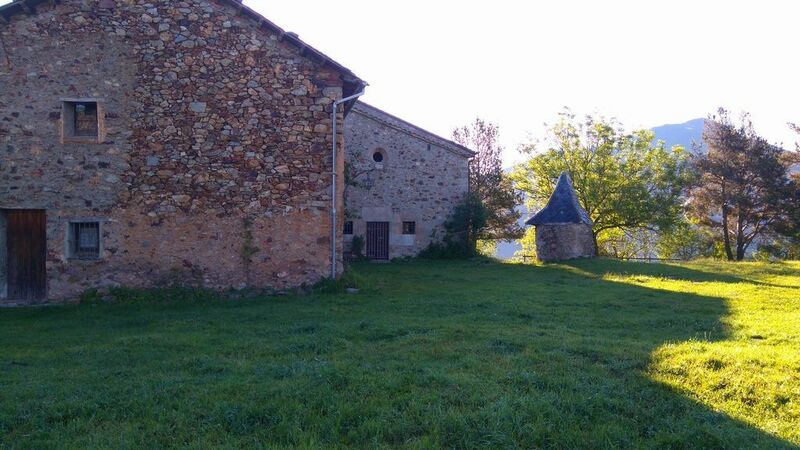 Right after passing all those farmhouses you will be back to Collet de Segura and from there you just need to retrace your initial steps back to the Tourist office across the town. 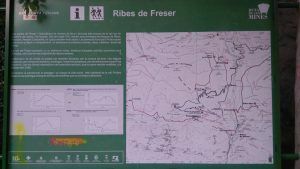 Water: All needed water facilities are available in Ribes de Freser. 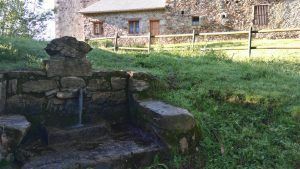 There is a fountain just after Can Paloca mine, a fountain and restaurant in Ventolà and there is also a fountain in Batet. Access to Fernanda torrent and some other torrents too. 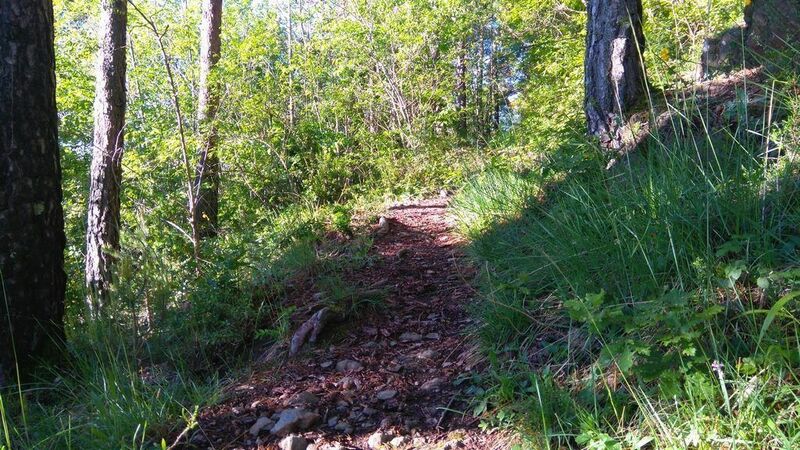 Short but intense and demanding route, with steep up-and-down slopes. 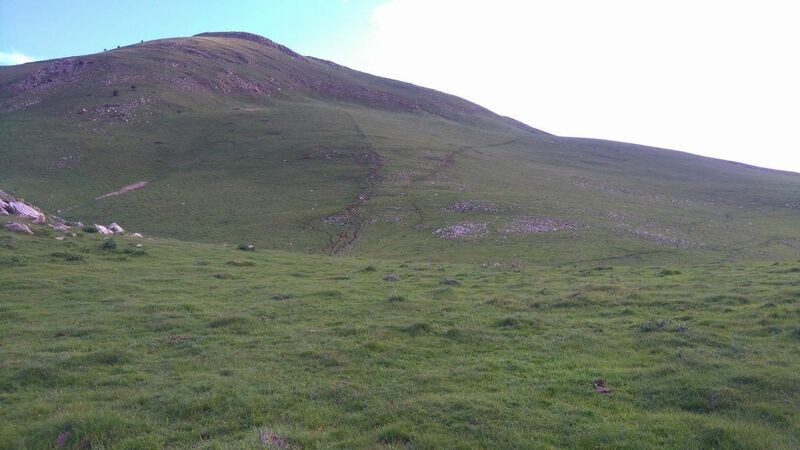 This circuit should be avoided in winter because most of it could be inaccessible. 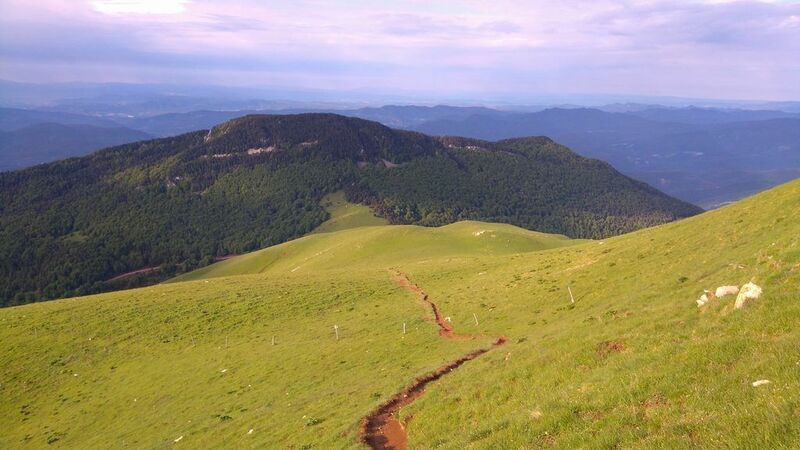 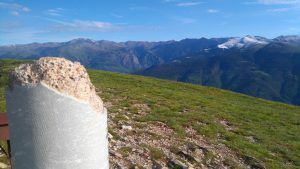 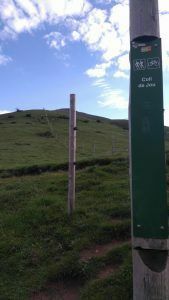 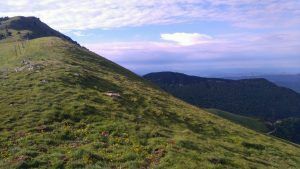 The high point of this route is the Taga, an iconic summit within catalan hiking and a vantage point with 360º panoramic views of part of the country. The starting point is a big esplanade in the middle of the town, where there are plenty of car park spaces, some tables and a playground for children. 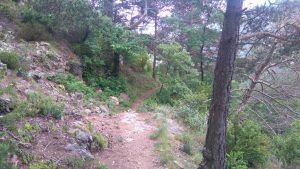 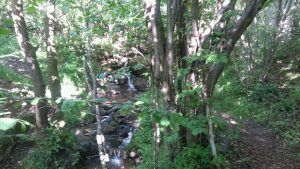 Start walking towards the Serrat Roig neighborhood and after go past the last house, get into the forest in a steep ascent. 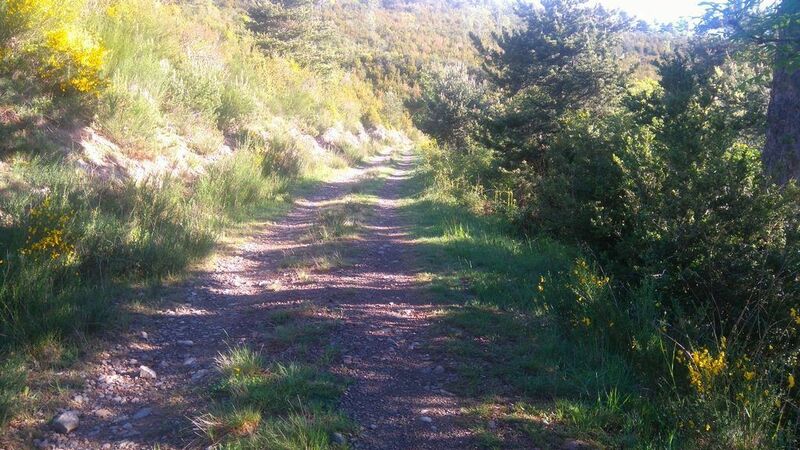 This trial will get you to Coll de la Portella. 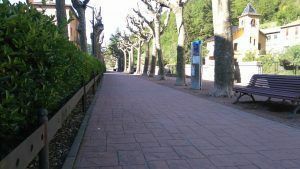 Turn left and walk a wide path followed by a paved stretch until you get to “the curve”. 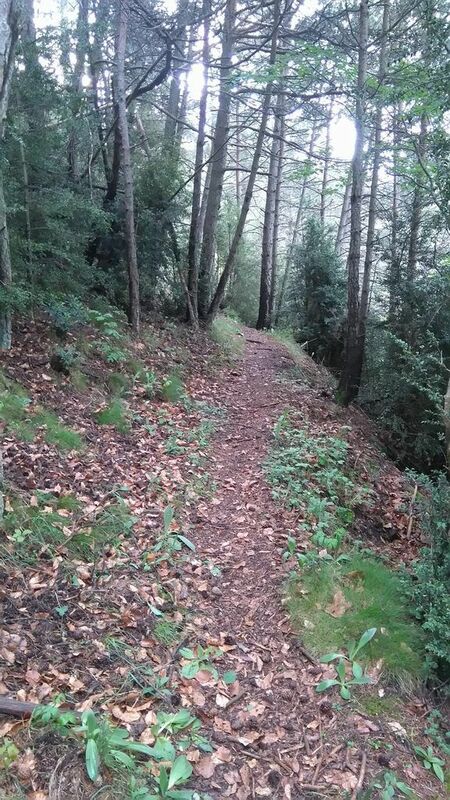 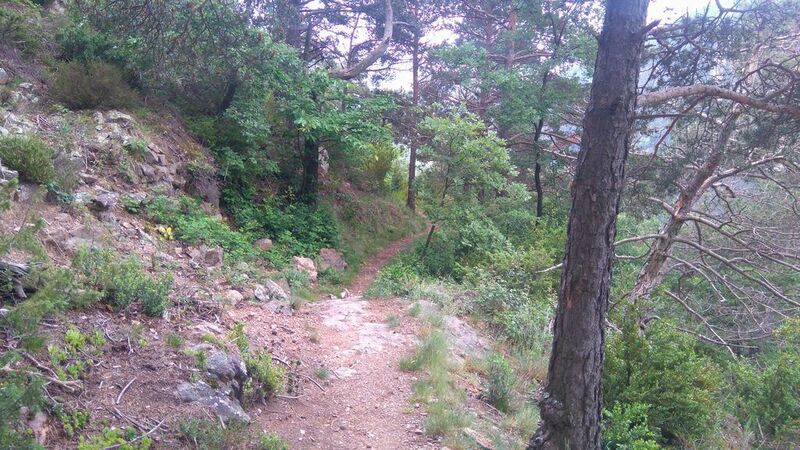 Start walking the steep uphill path that will get you to Coll de Jou. 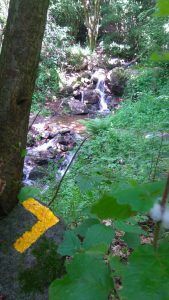 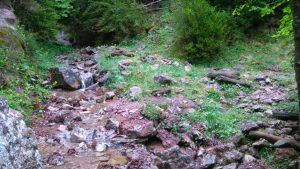 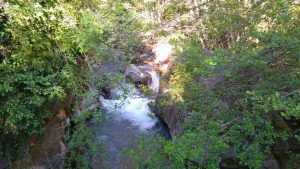 Before getting there, you will get the chance to stop in Pla dels Dois and you will also find the Torrent de la Font de Llobina. Cross the cattle grids and after that go up the slopes of the Taga, sometimes across fields and sometimes by path, passing two fences that should stay closed. 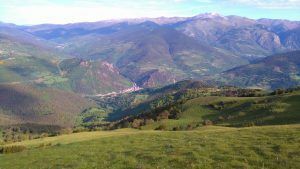 After this ascent you will get to the top of Taga, the tallest peak of the area (2040m) and an emblematic summit for catalan people. Freser, Pardines, and a large number of villages and country houses spread around the landscape. 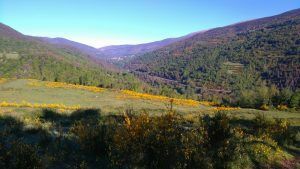 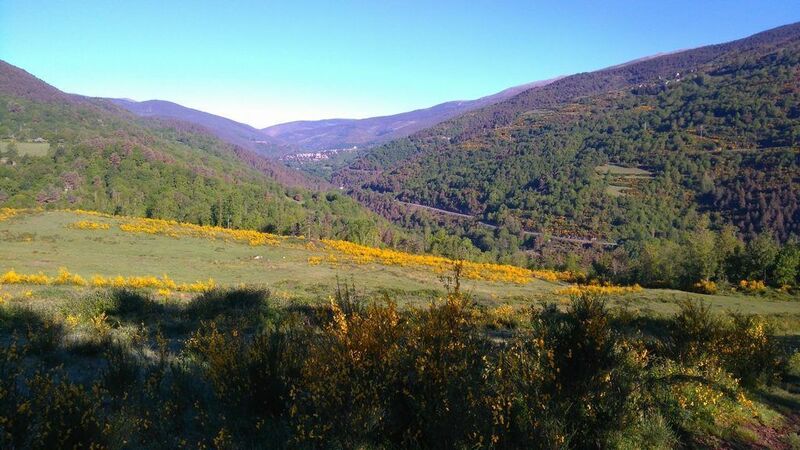 The descent should be done by the crest going towards Ribes de Freser. 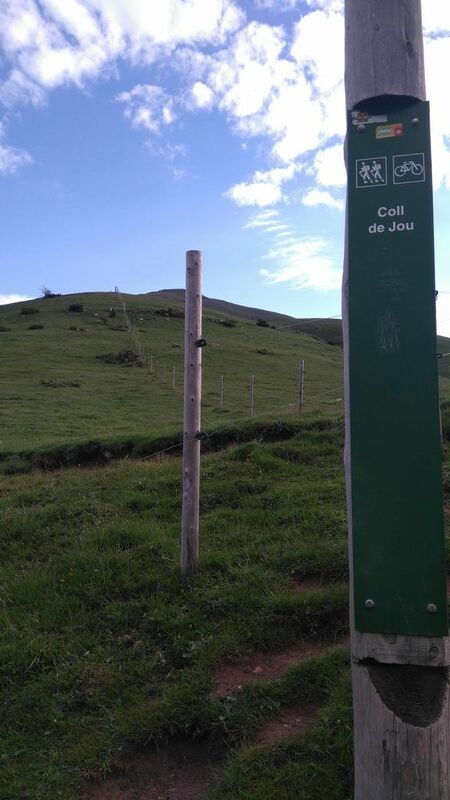 At the spot height 1900, after crossing a fence, you should sharply turn to the left to keep going down on a steep slope across the fields until meeting the Pla de Freixes. 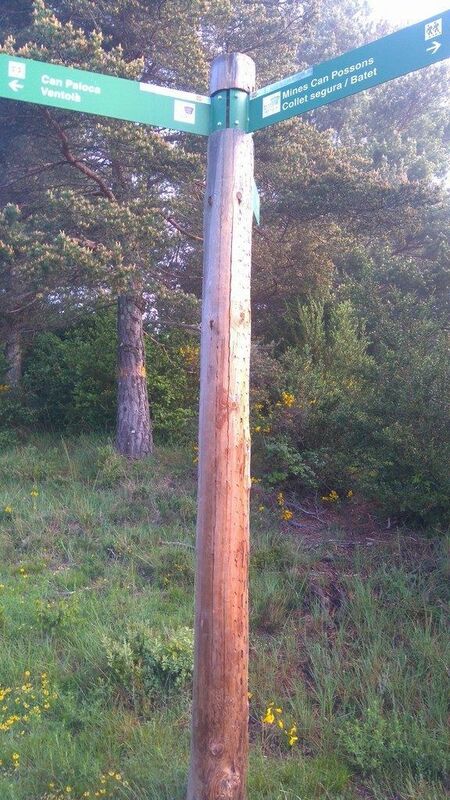 Slightly after that, you should get to Coll de la Pera, easy enough to identify because of its antenna. Passing that building, go back to continue walking through the fields and now keep an eye on the fence that should be crossed twice. 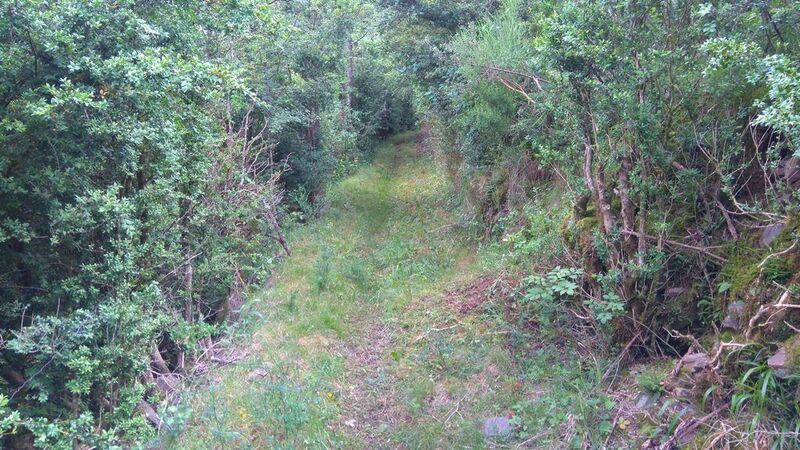 Keep going until you get to a grass track and walk it for 500m. At that stage you should be back in town and very close to the starting point. 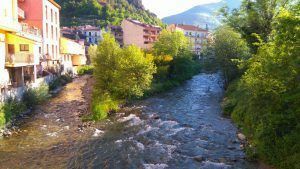 Water: All needed water facilities are available in Ribes de Freser. 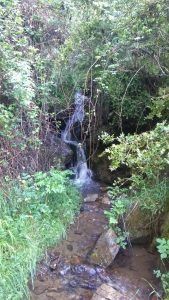 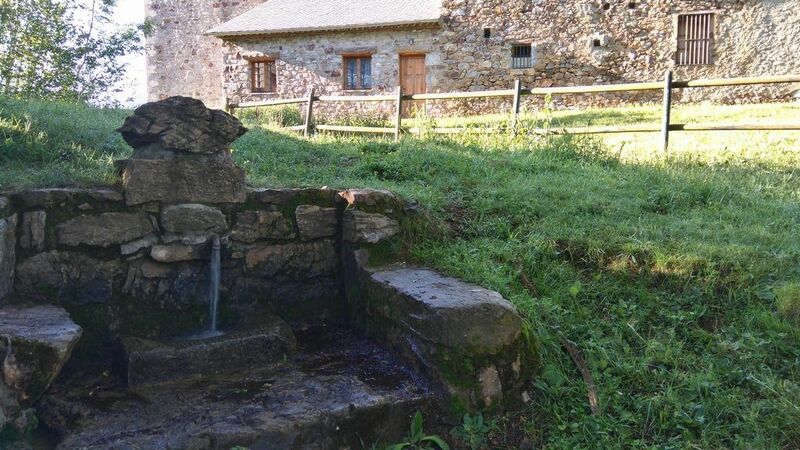 There is a fountain in Bruguera and there is access to the torrent of Fuente de Llobina. 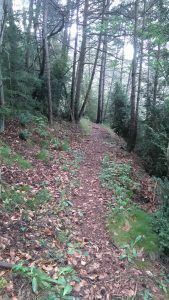 Circuit available at any time of the year. 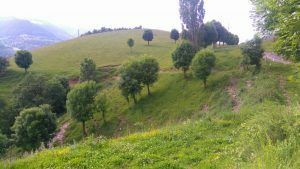 It is very shaded and cool area in winter, that is why warm clothes are recommendable, even if you are planning running. 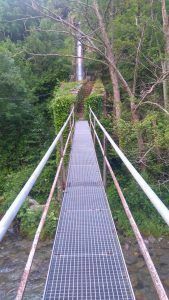 When crossing the River Freser by the Hydroelectric plant, beware not to slip on the staircase and make sure you make use of the plastic rope for extra support. 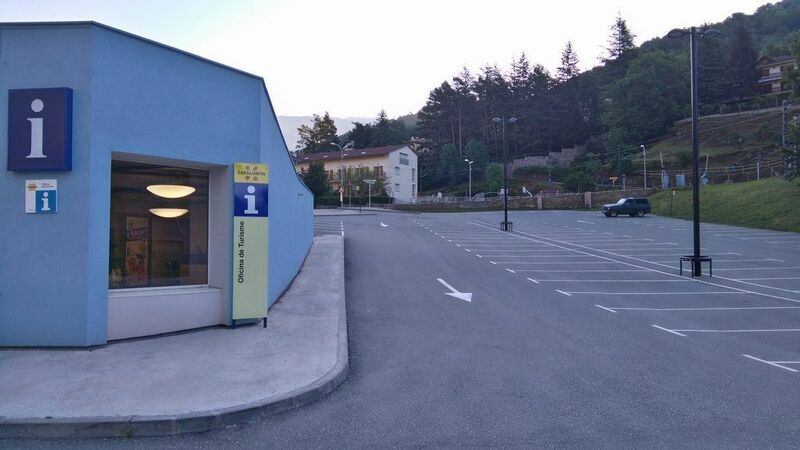 The tourism office is the starting point of the walk, where you can find lots of parking spaces. 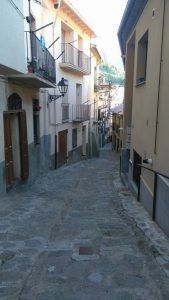 Follow the Paseo Àngel Guimerà to start crossing the town, then take Virgen de Gracia street until you cross Vía del cremallera. 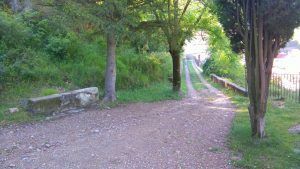 Just after passing the barriers, turns to the left towards the cemetery and continue on that concrete path. 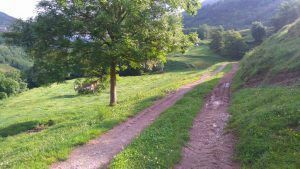 Once this paved stretch finishes, pass the fence and take the track on the left and keep going along the right edge of the fields. 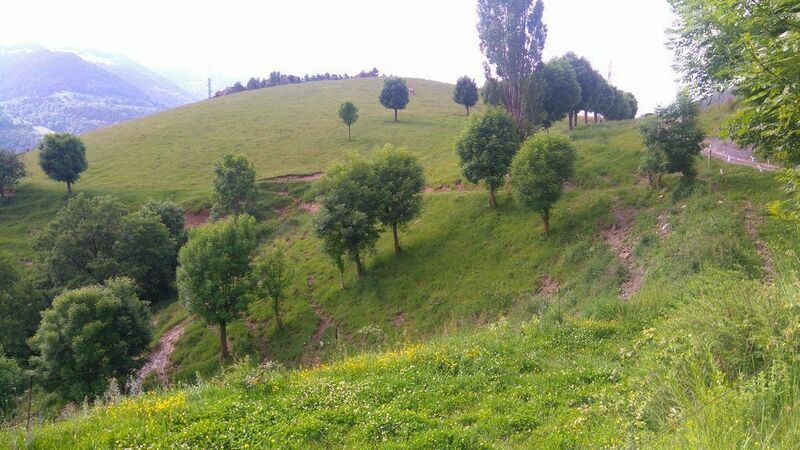 At some point those fields will turn into a path in gradual and constant rise surrounded by trees. 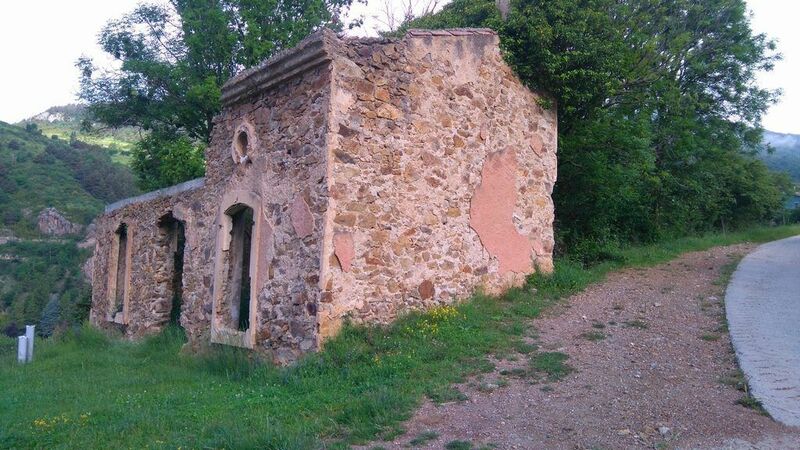 After passing some fences, you will get to Can Cerdá, this is a house in ruins that remains as a sample of the lifestyle that was popular around those valleys years ago. Nearby the house, turn sharp left and turn again to the right to keep walking down for a bit until you find a big water pipe that goes down the Hydroelectric plant. 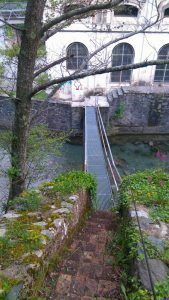 At that point, there is a small brick bridge with a narrow staircase where you should be careful, specially if the surface is wet. 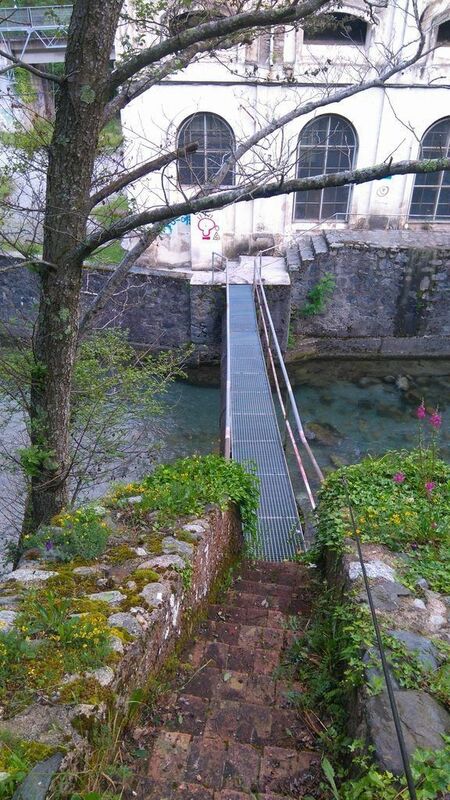 After the staircase you will find a metallic bridge that gets you across the River Freser. 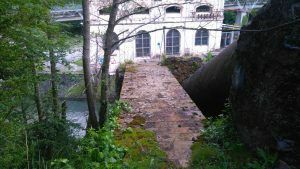 Around the Hydroelectric plant there are great spots for resting and refresh yourself. Go around the Hydroelectric plant building and behind it, on the left, you will find a narrow path on steep uphill. 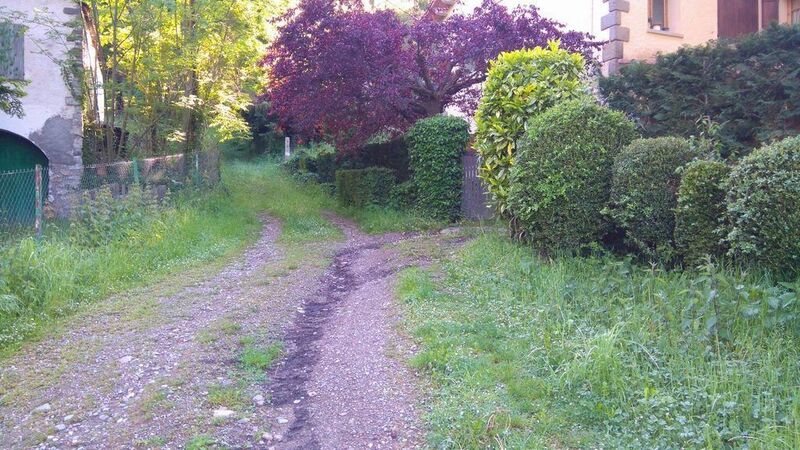 Following up this patch and going across a field, you will get to Queralbs road. 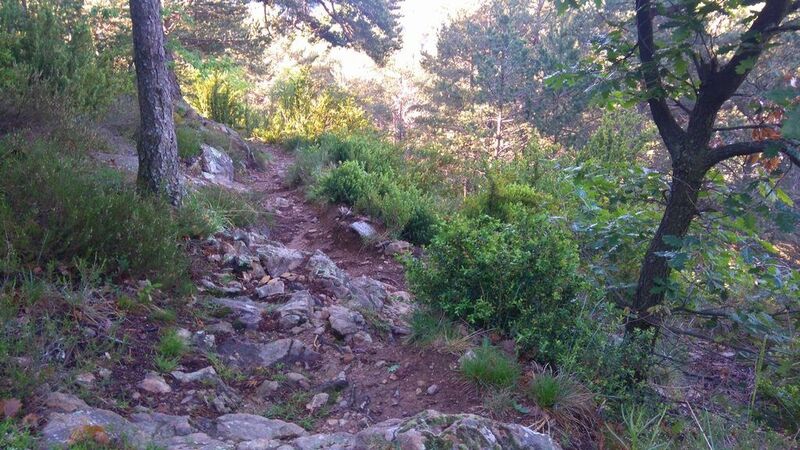 Cross it and walk along this road for a few meters till you come across a track on the right that will bring you to Batet through a gentle climb. 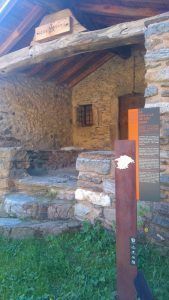 Tourist office across the town. 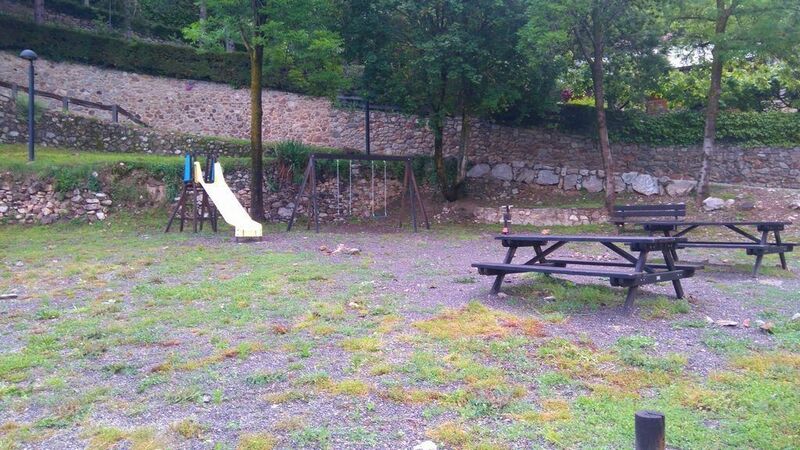 Water: All needed water facilities are available in Ribes de Freser. 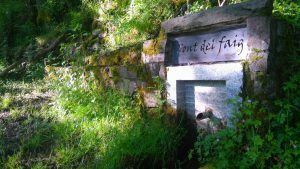 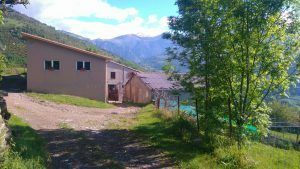 There is a fountain in Batet and access to bathing spots in the River Freser, just beside the Hydroelectric plant of Rialb.